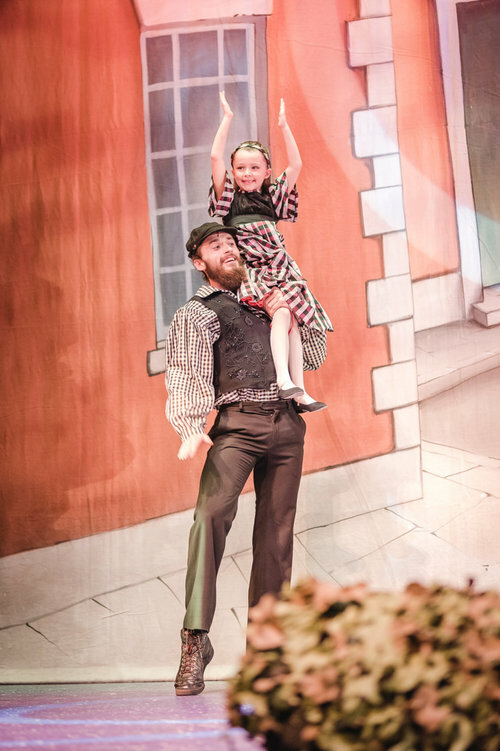 All images courtesy of J Van Marle Photography. 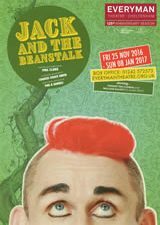 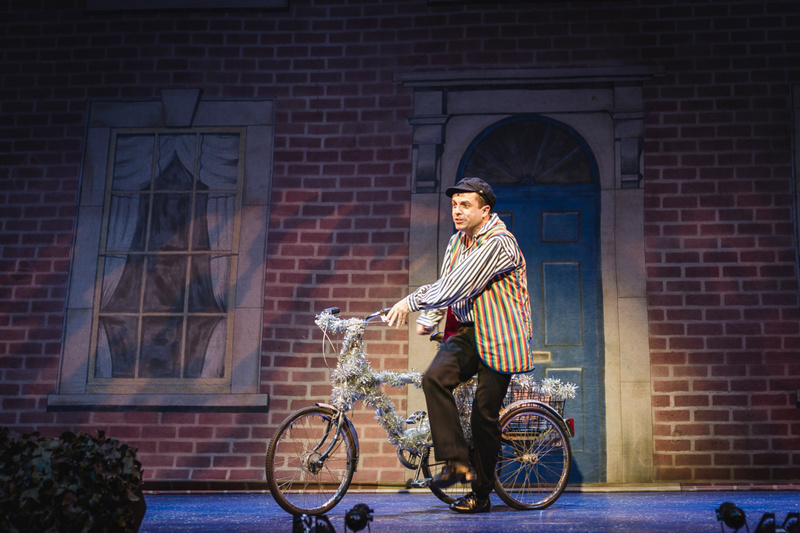 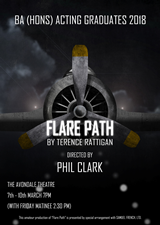 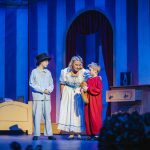 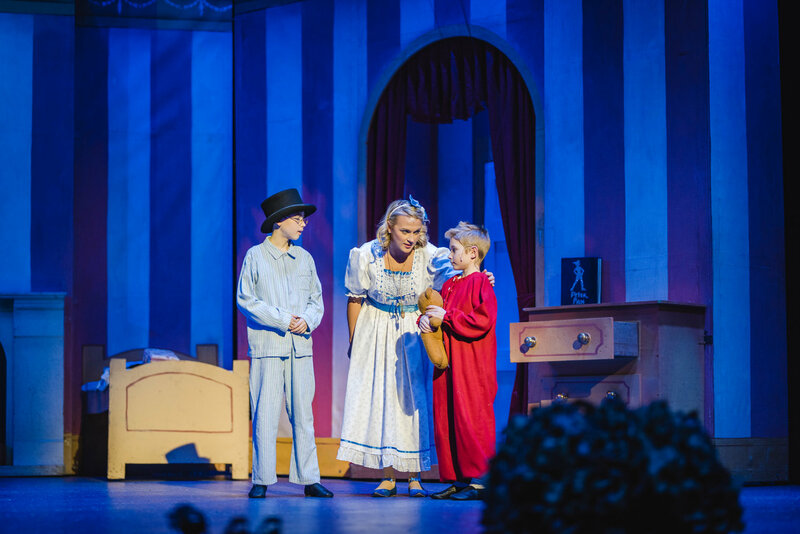 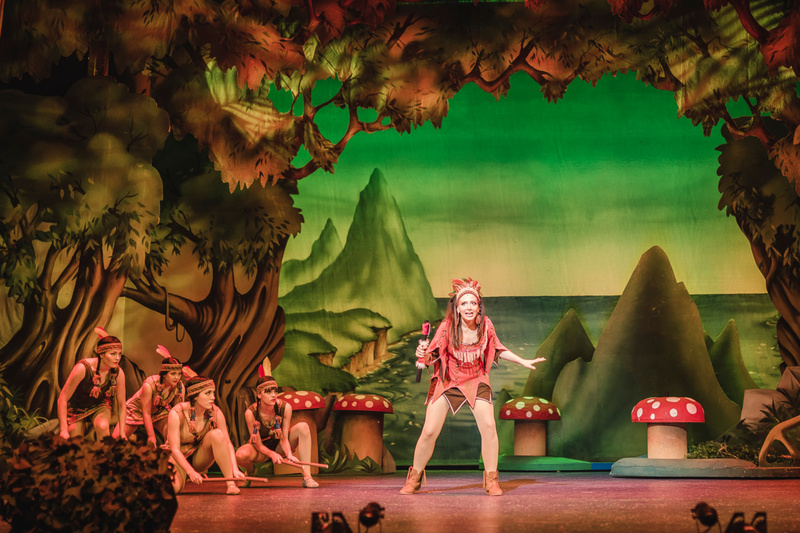 It’s that time of year again when theatres up and down the country put on their party hats and festive jumpers and transport us to enchanted lands. 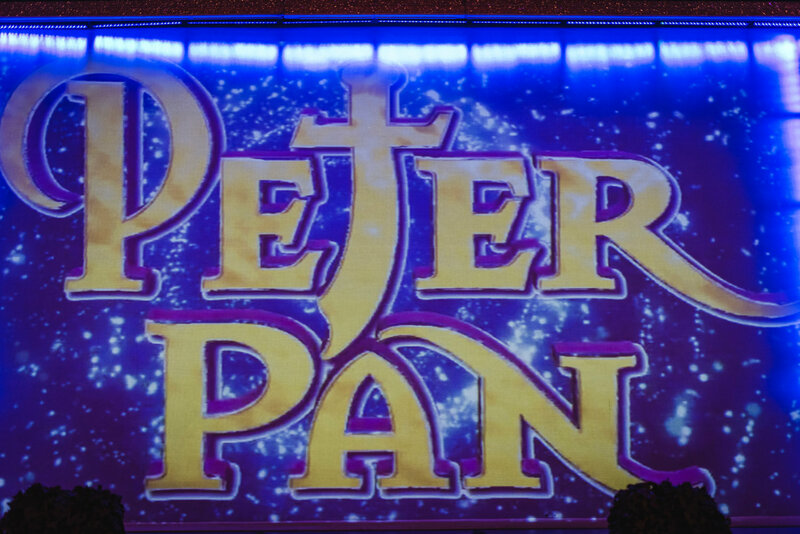 Or in this case Neverland. 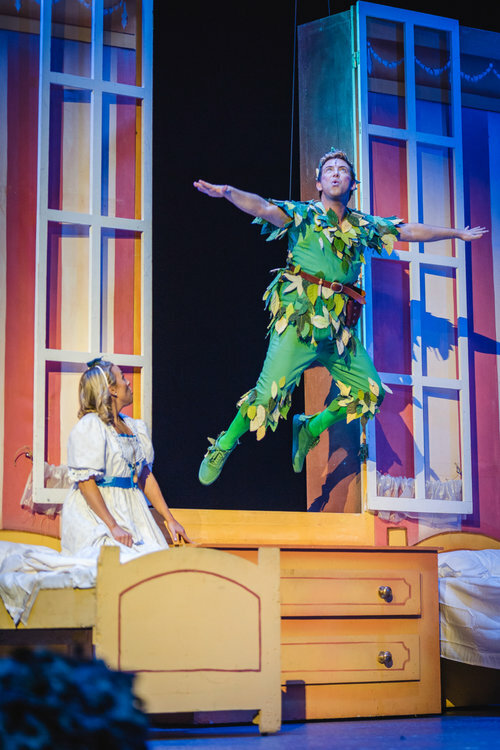 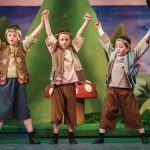 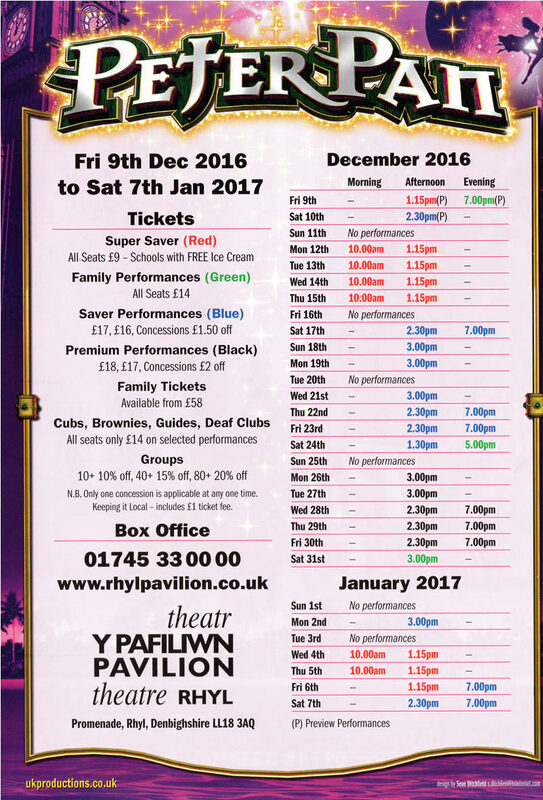 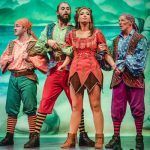 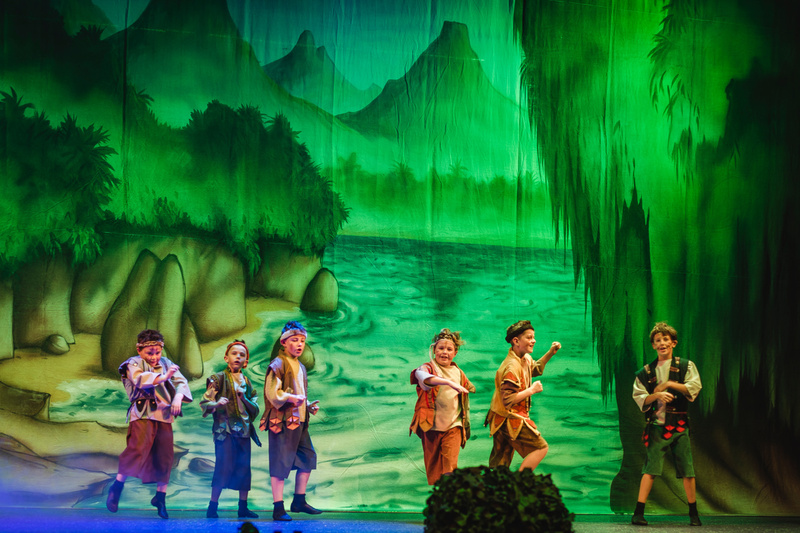 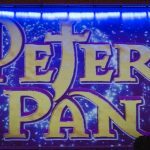 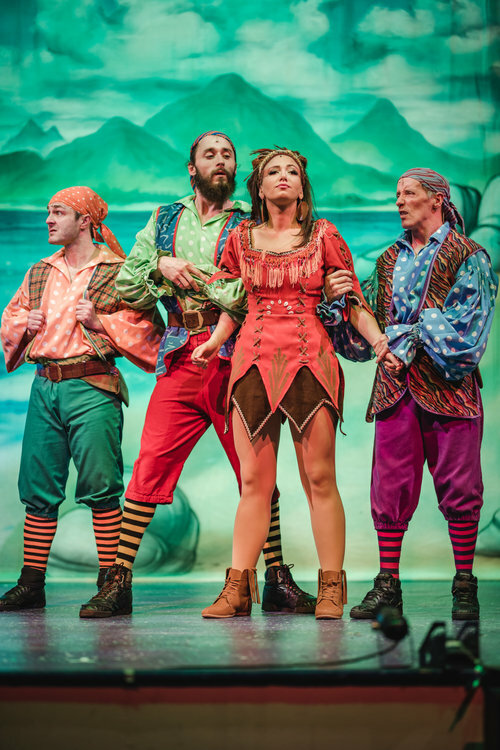 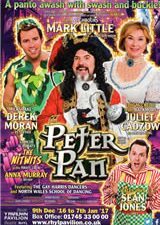 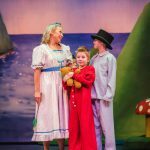 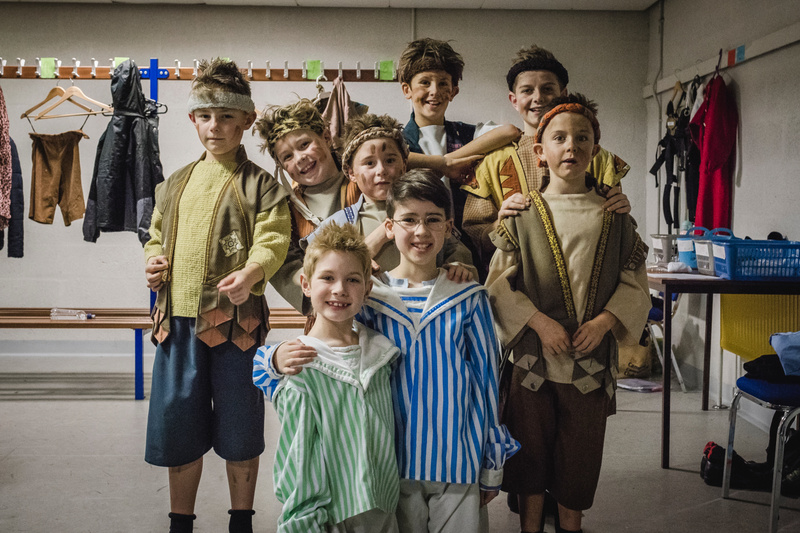 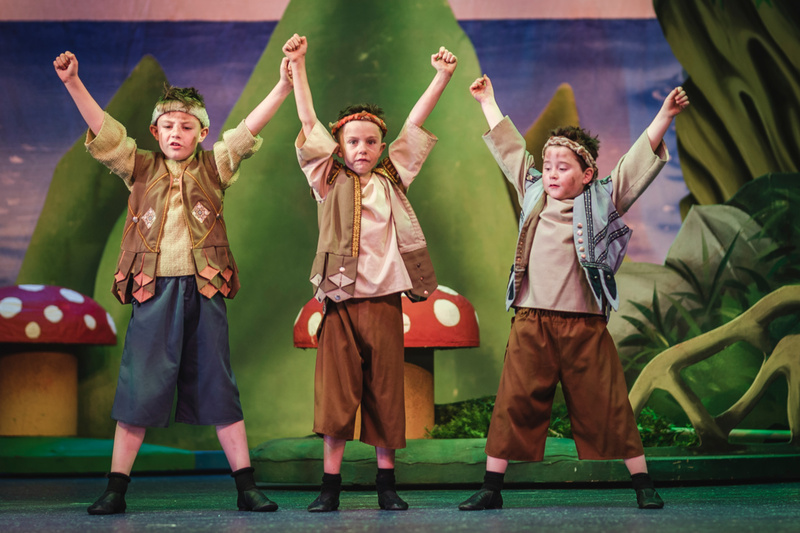 Rhyl Pavilion’s pantomime for 2016 is JM Barrie’s beloved Peter Pan. 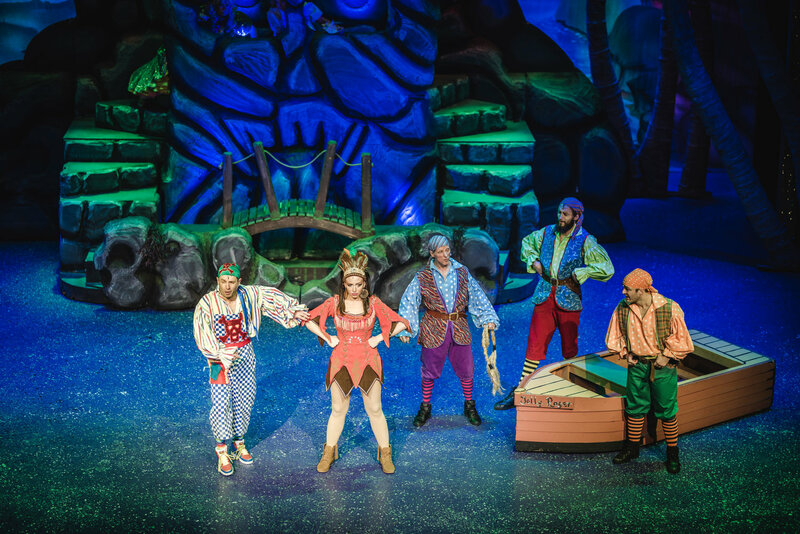 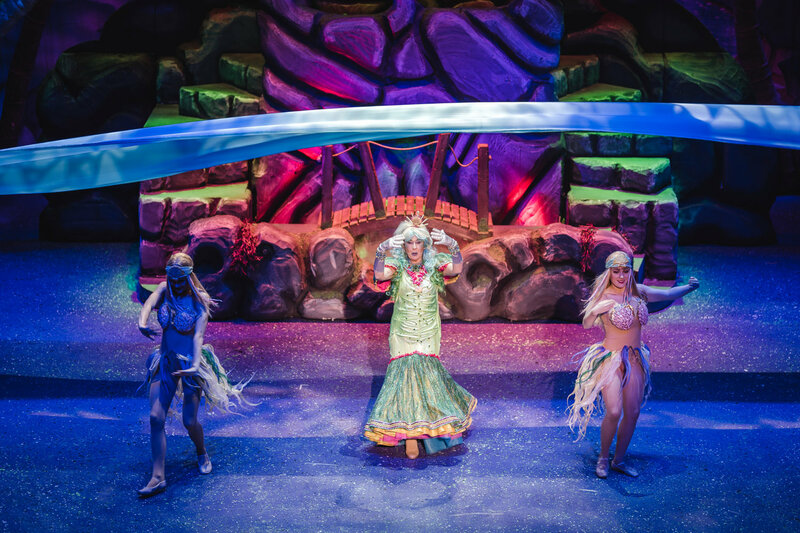 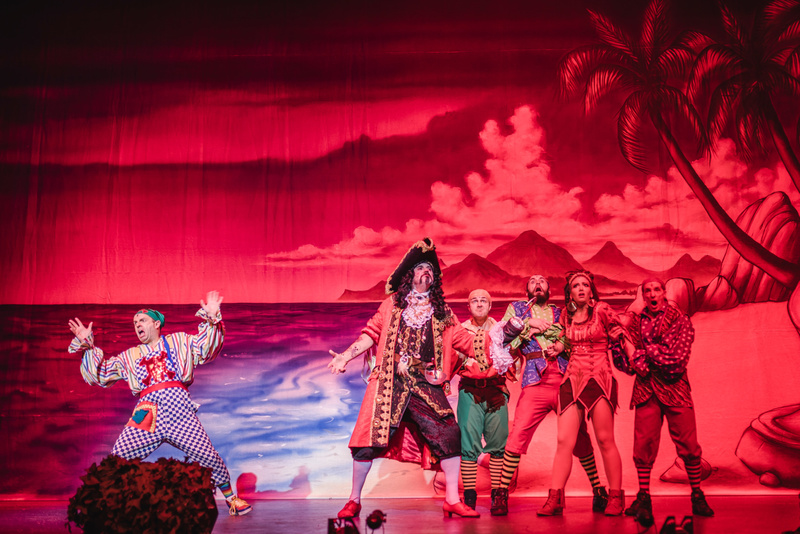 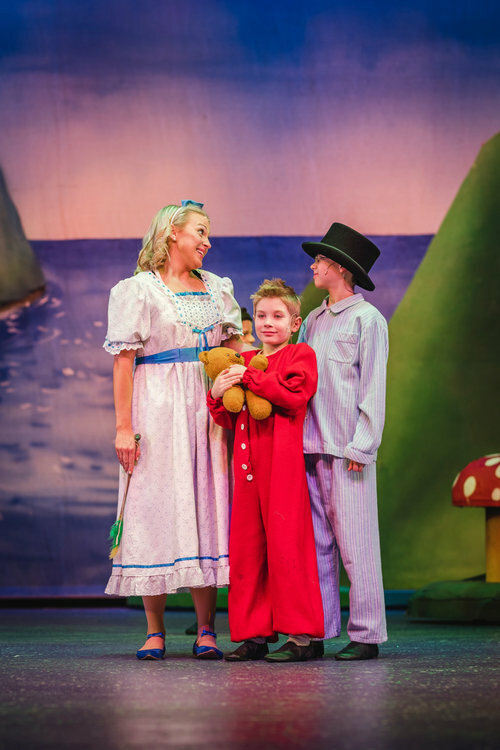 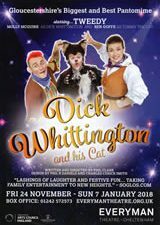 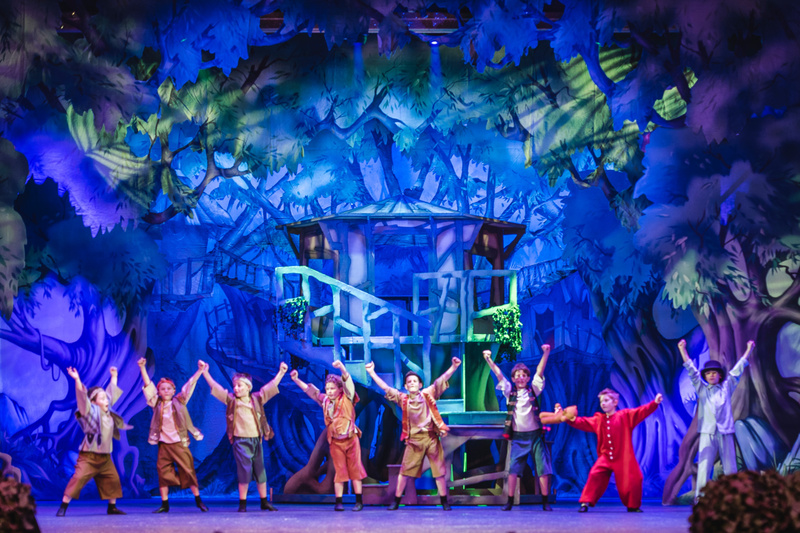 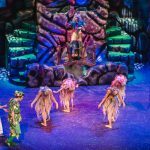 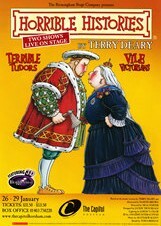 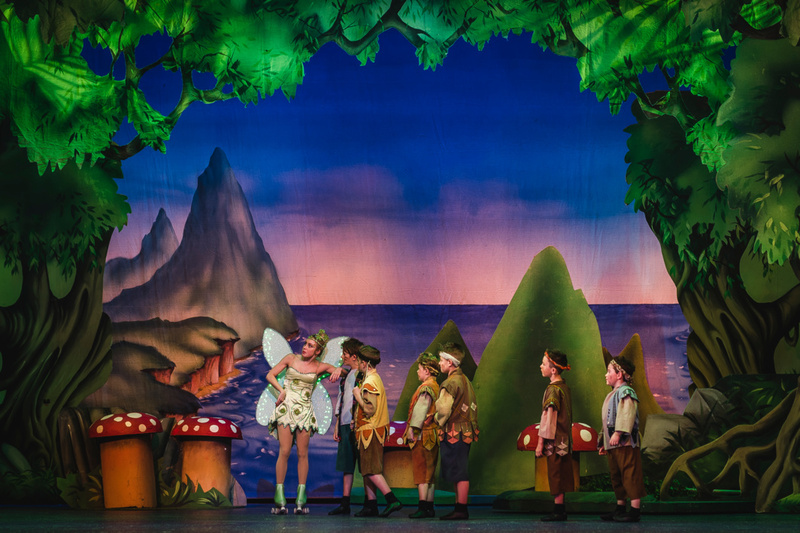 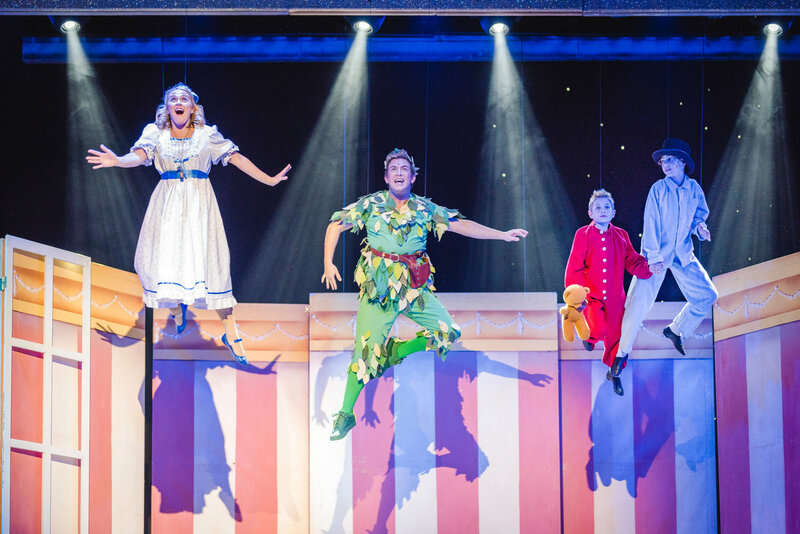 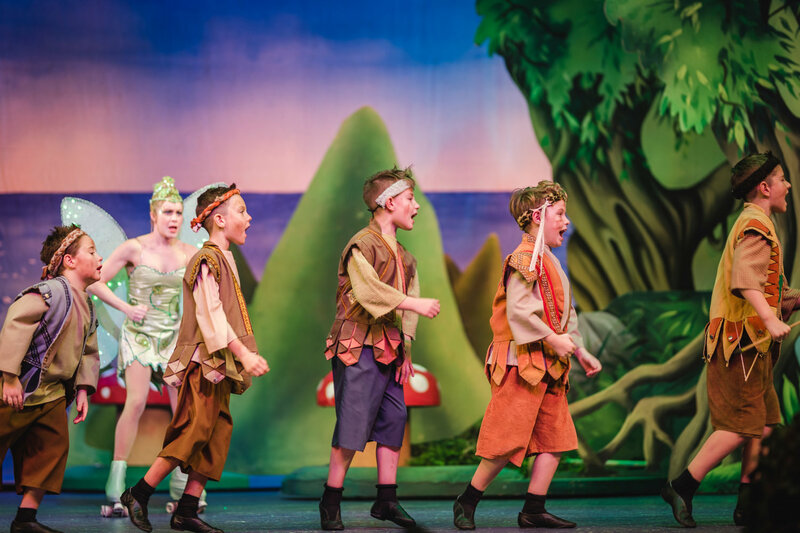 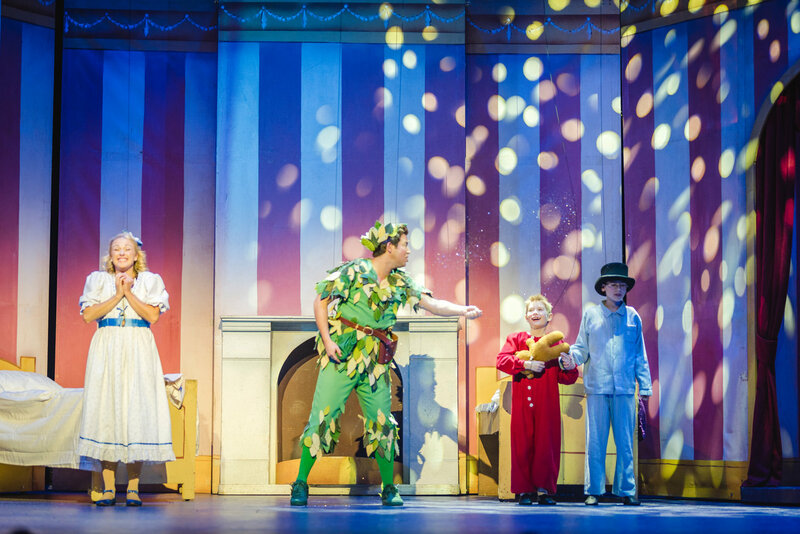 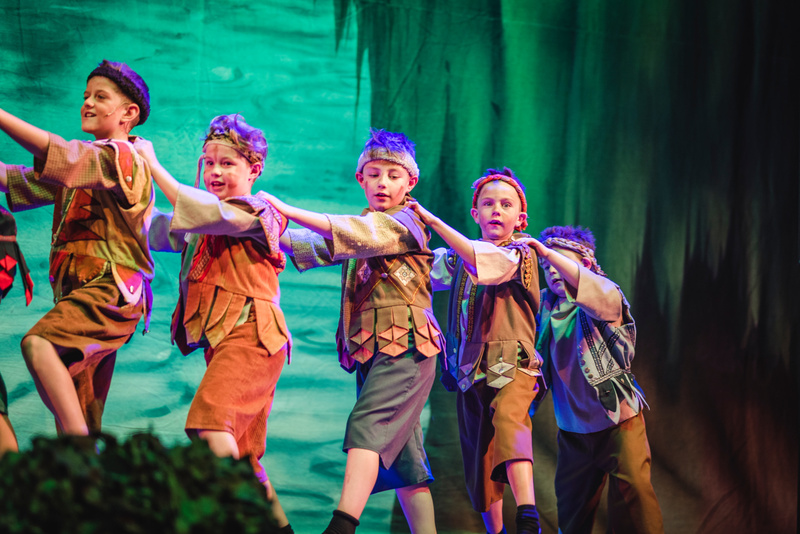 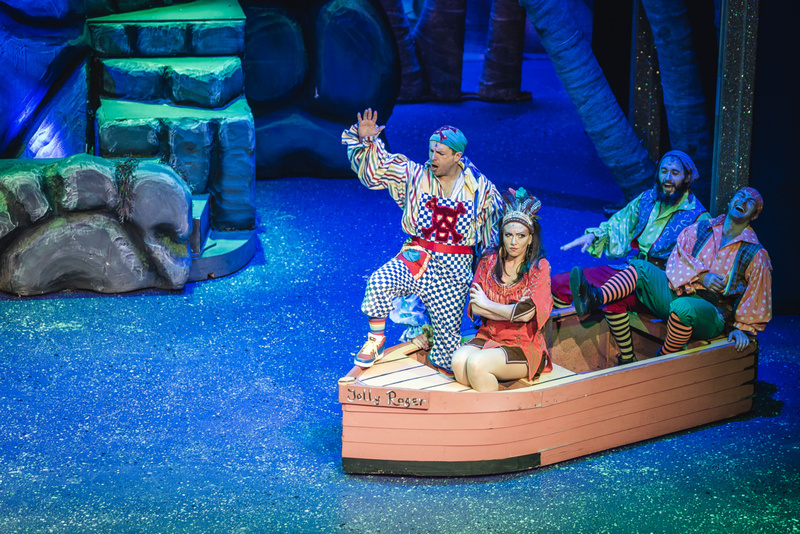 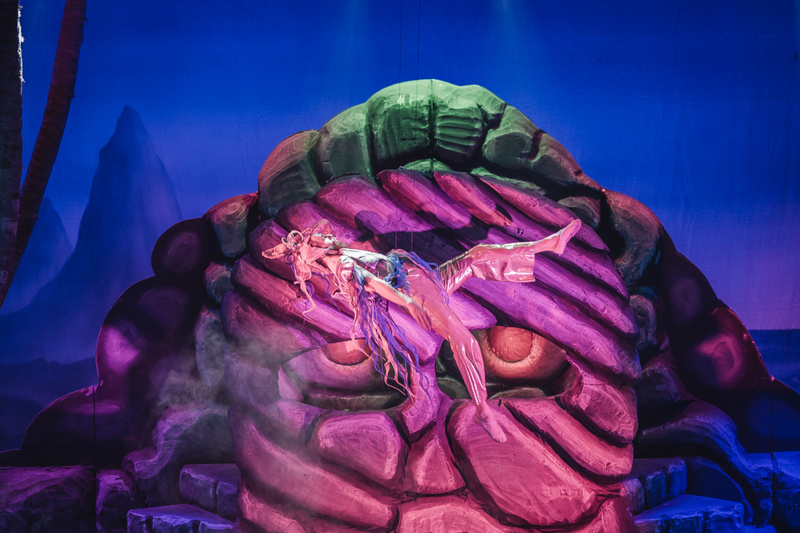 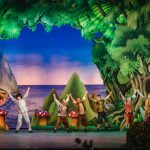 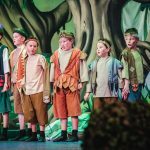 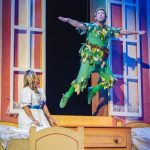 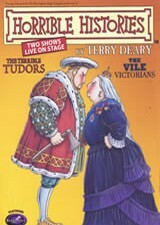 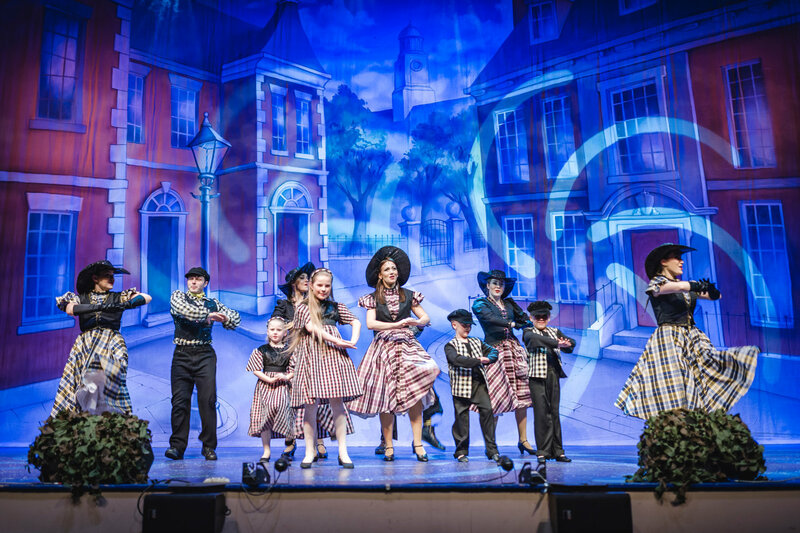 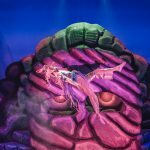 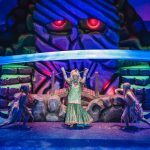 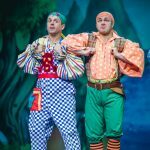 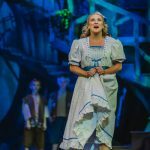 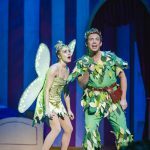 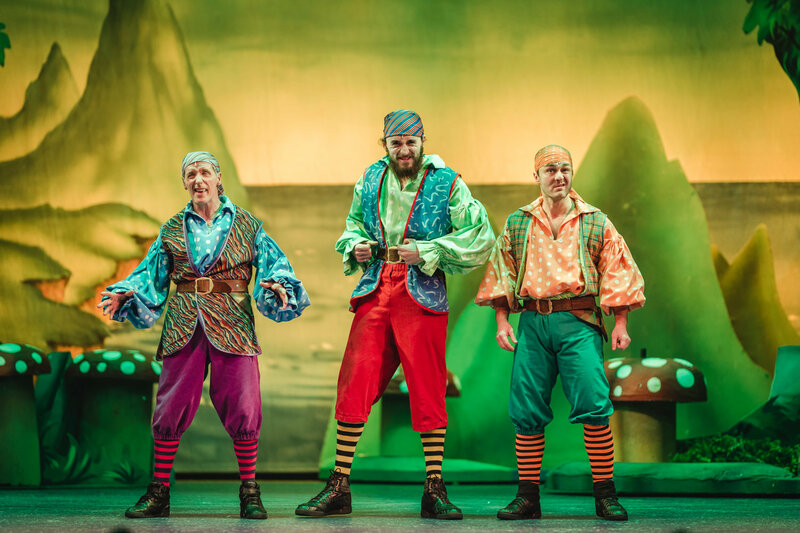 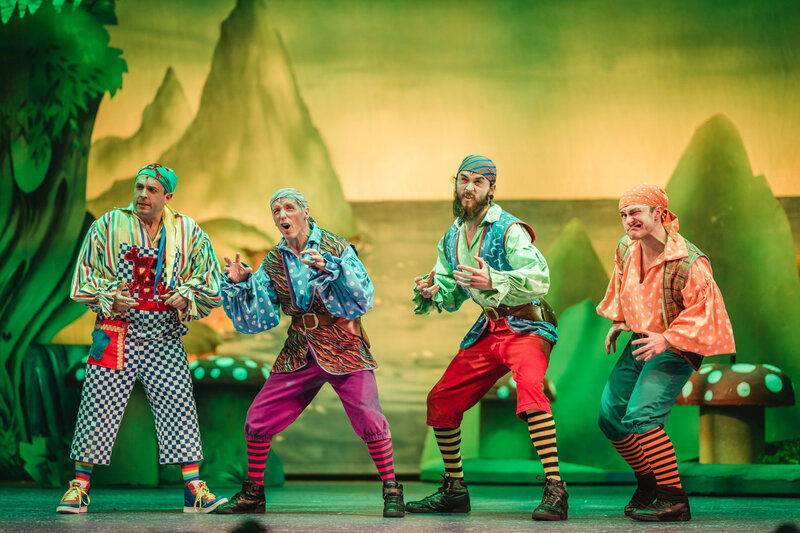 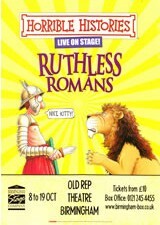 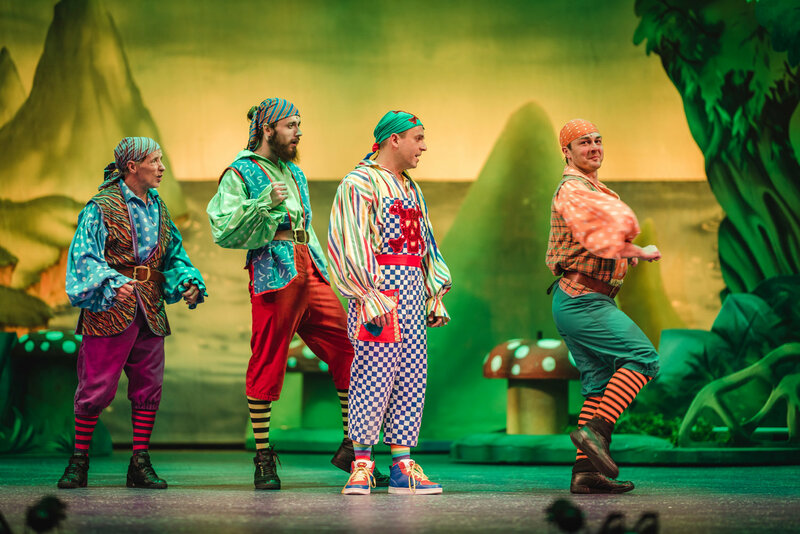 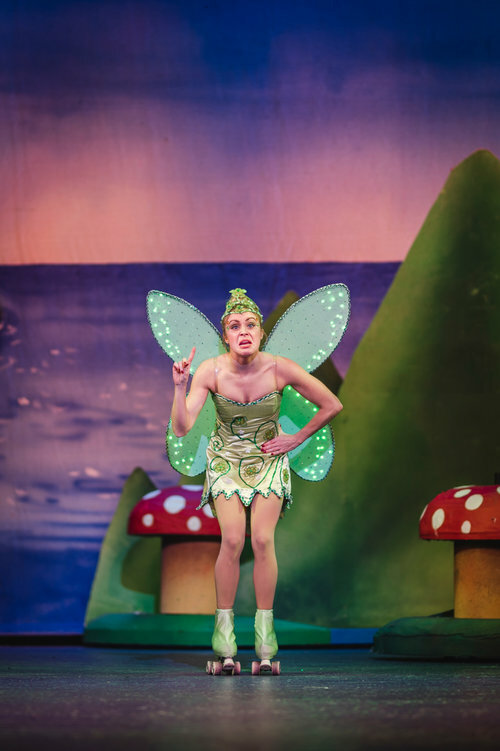 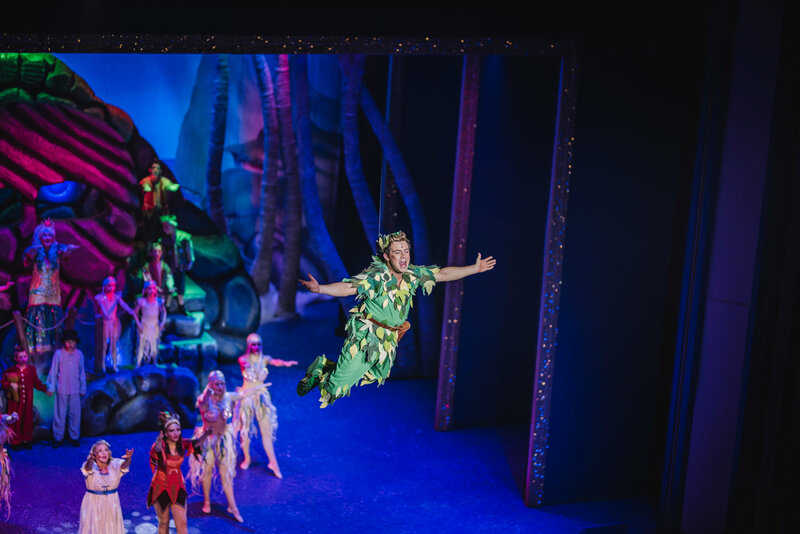 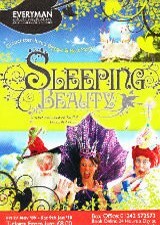 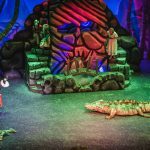 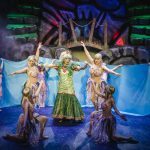 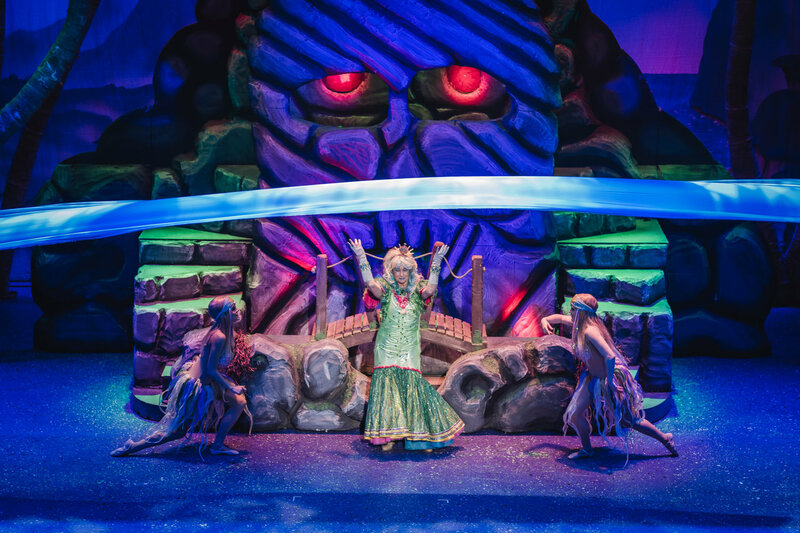 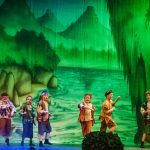 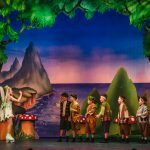 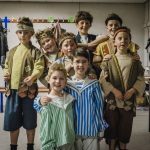 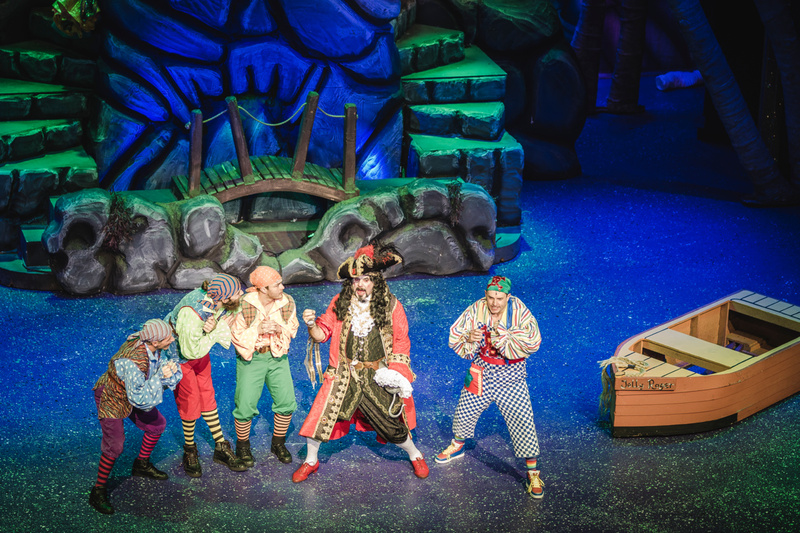 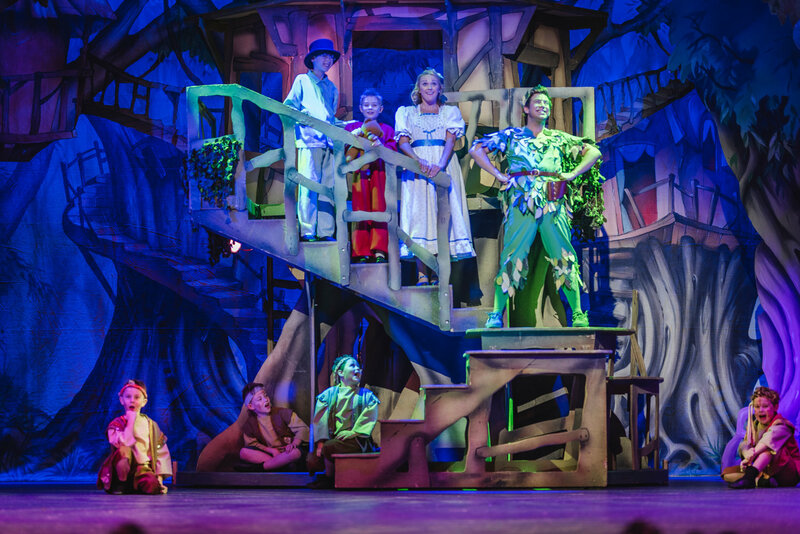 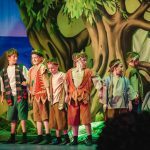 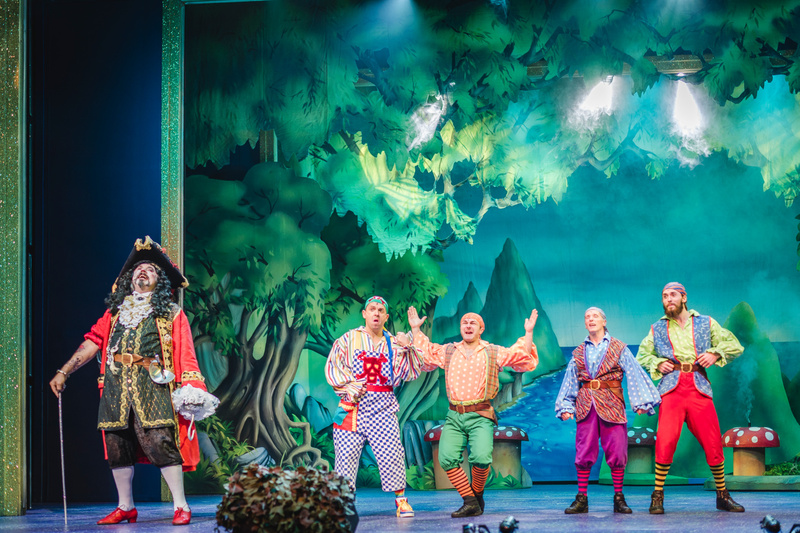 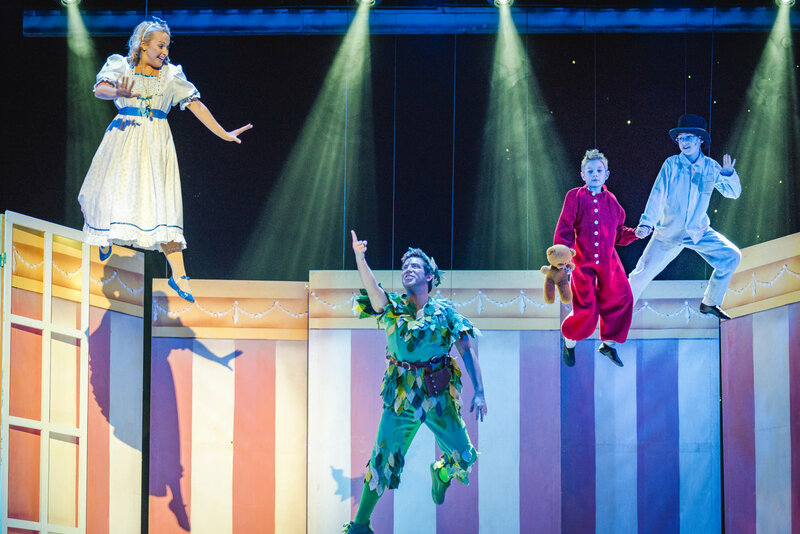 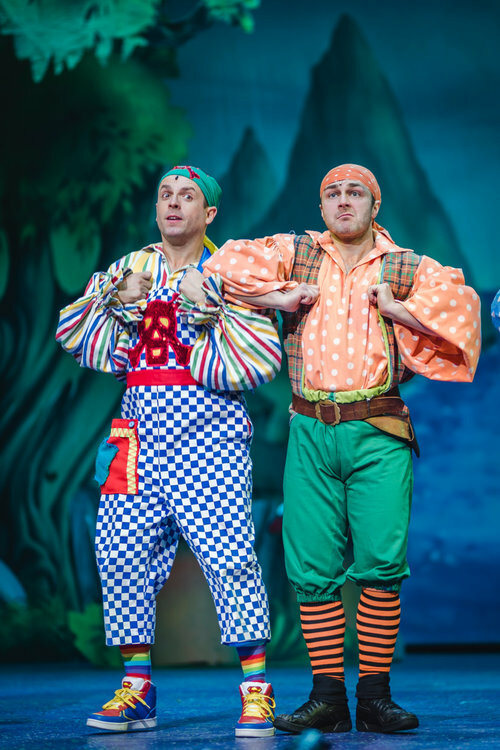 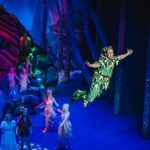 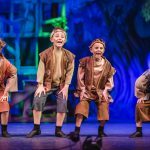 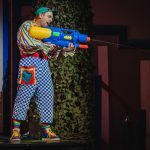 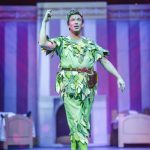 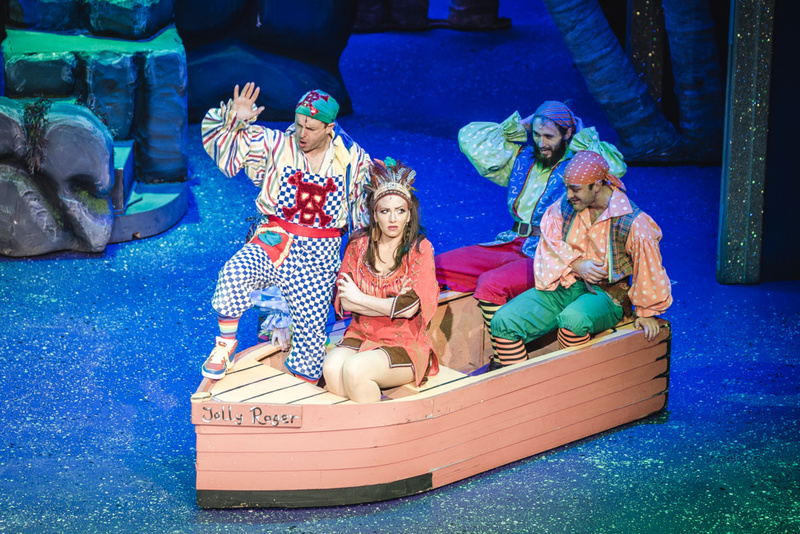 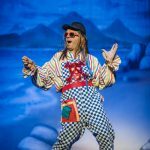 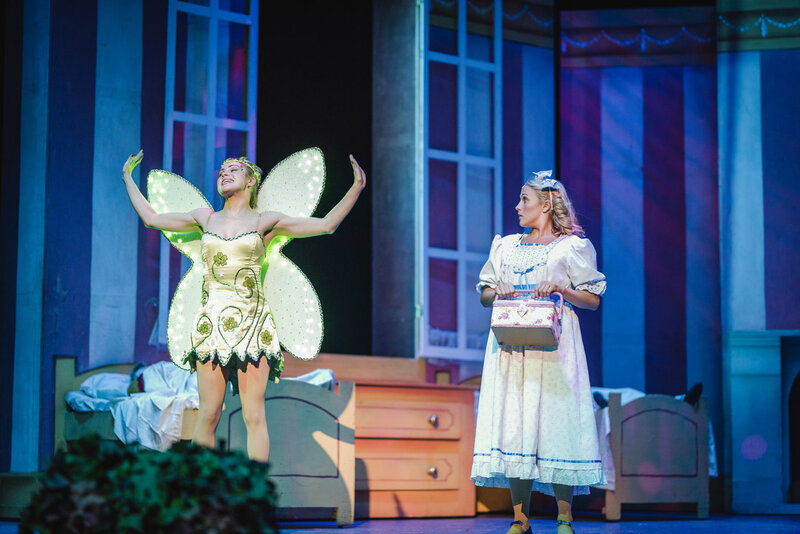 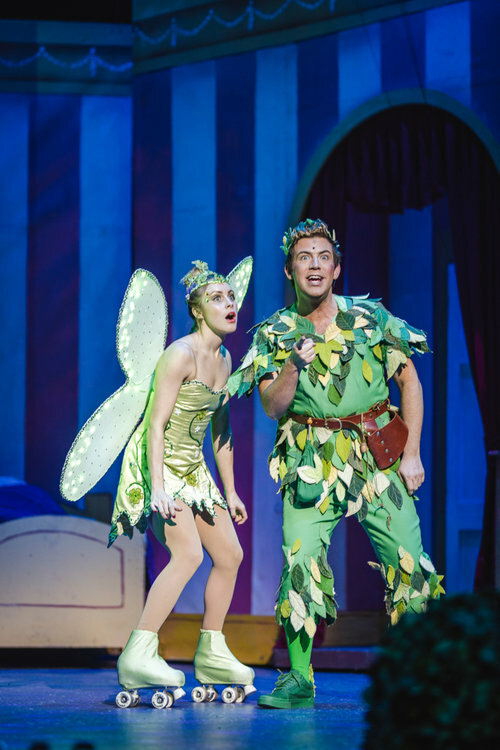 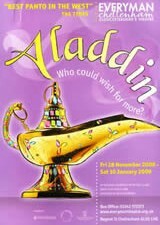 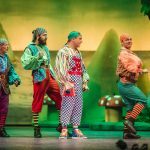 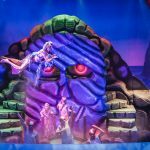 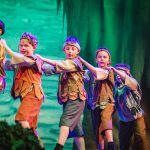 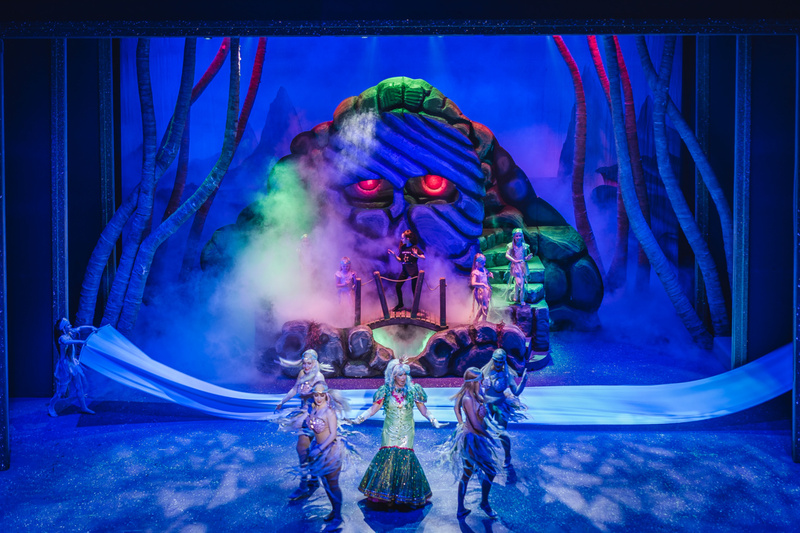 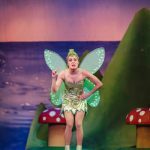 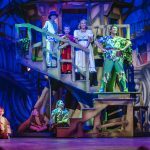 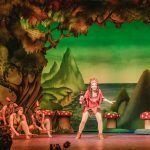 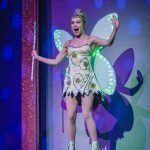 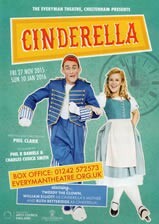 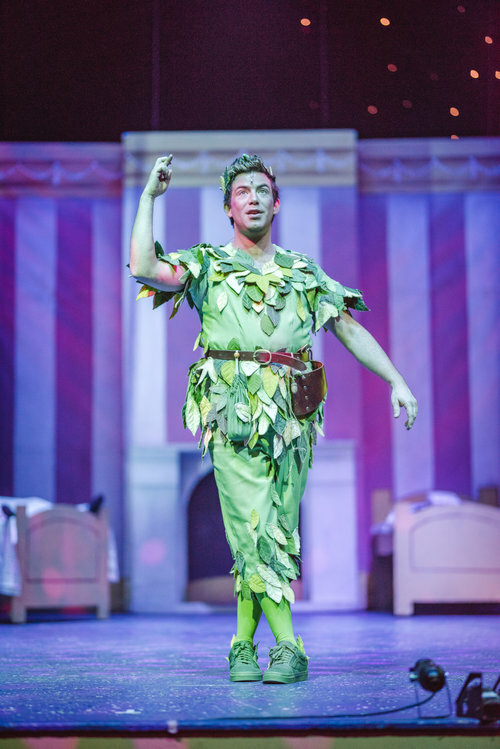 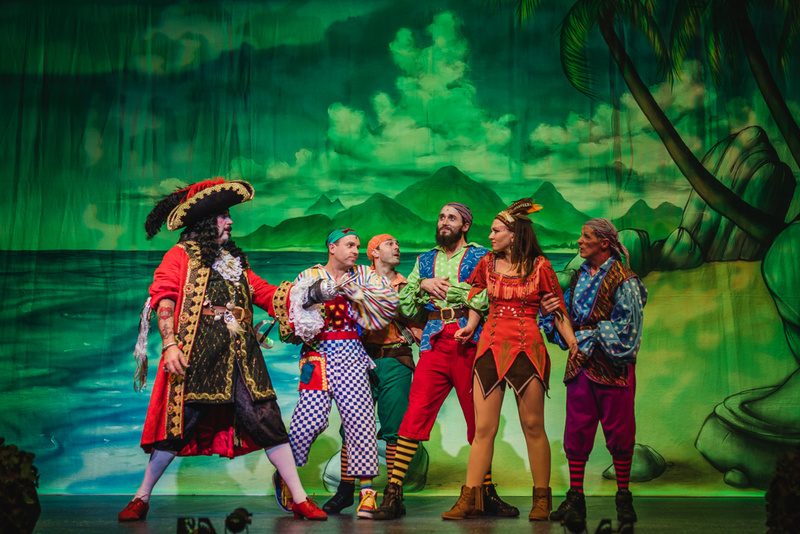 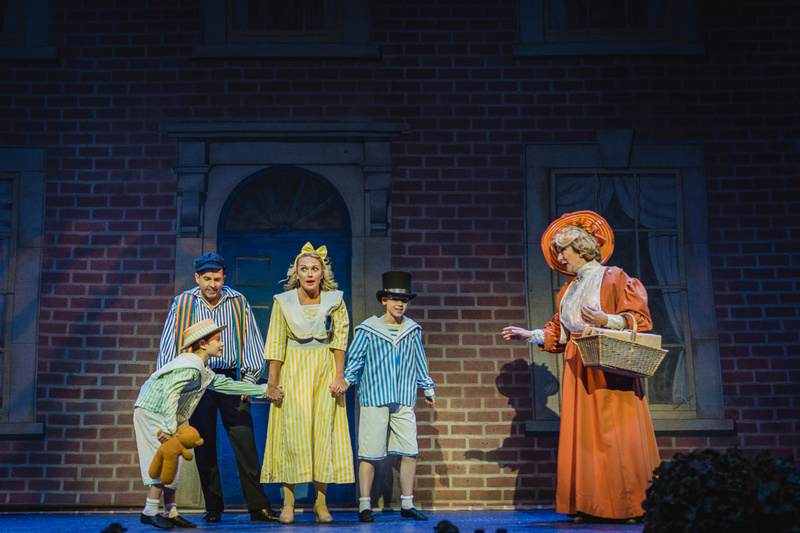 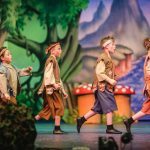 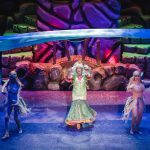 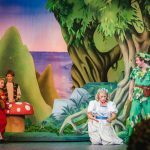 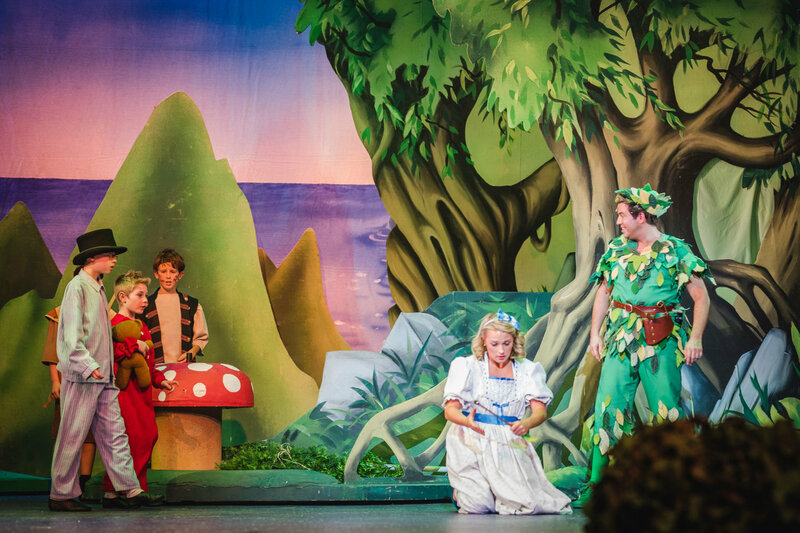 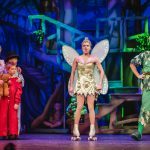 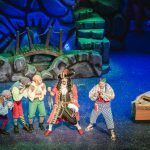 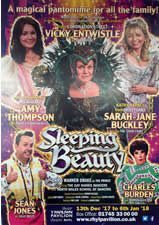 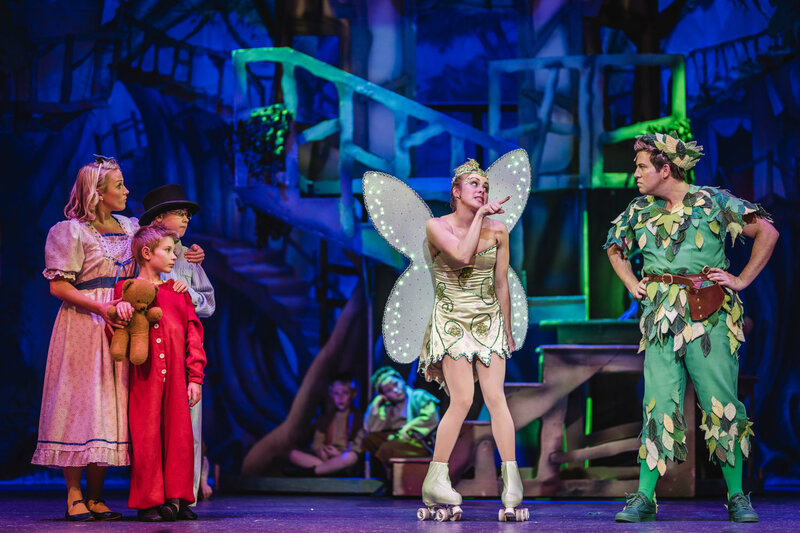 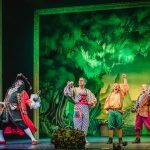 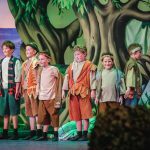 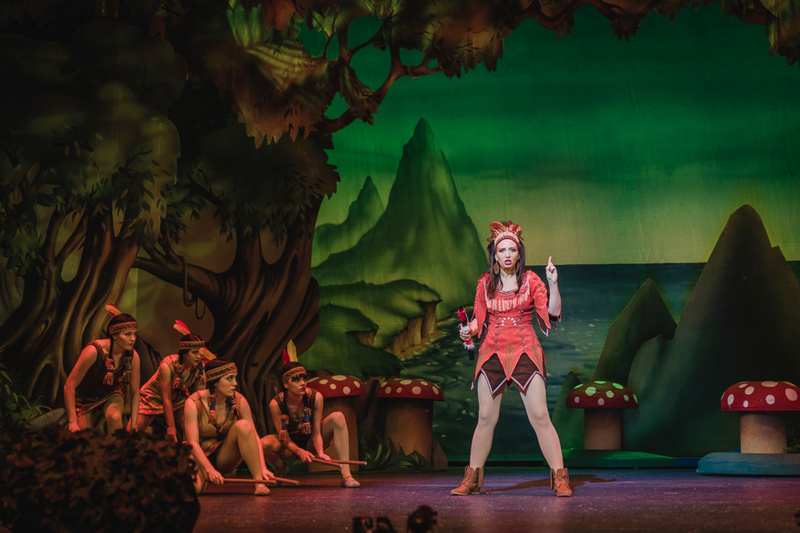 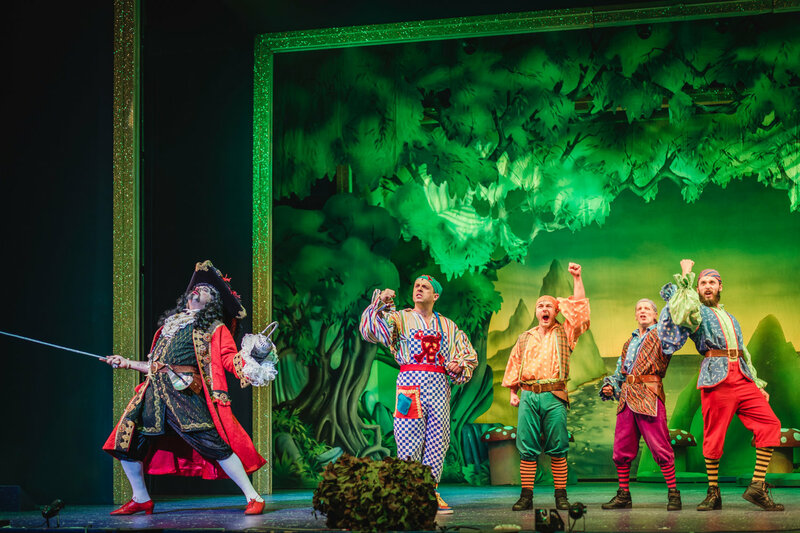 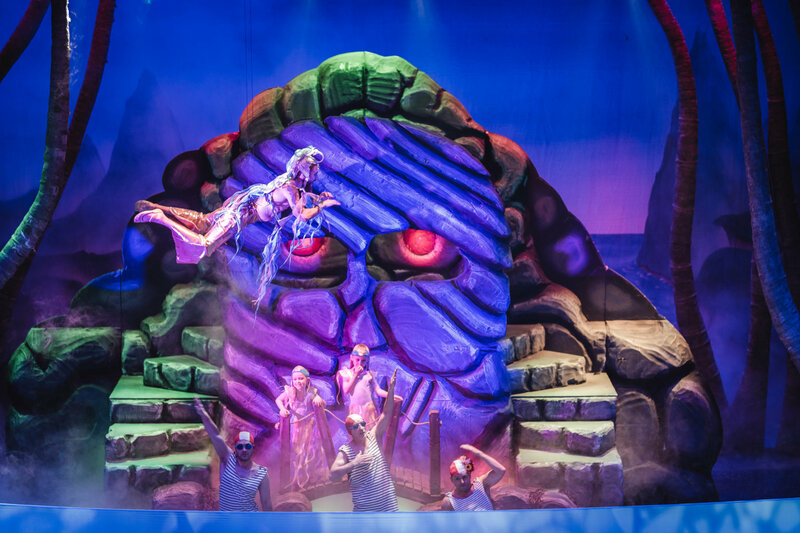 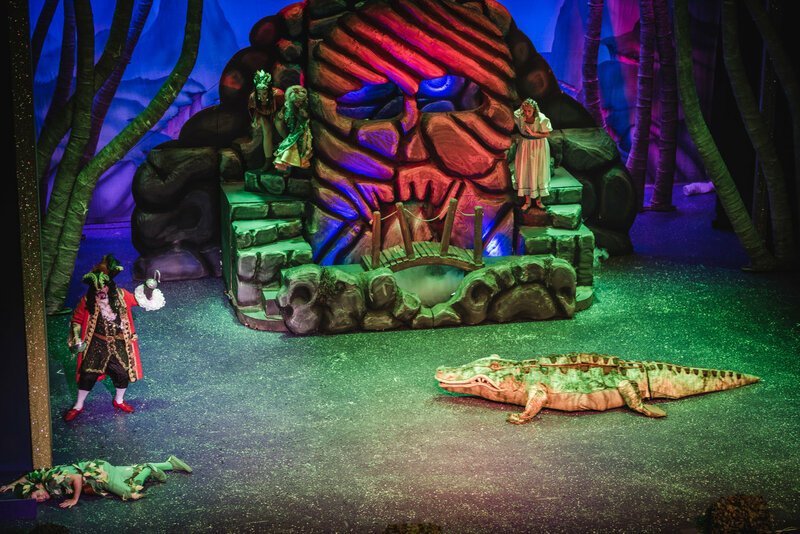 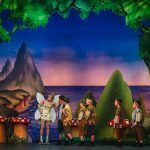 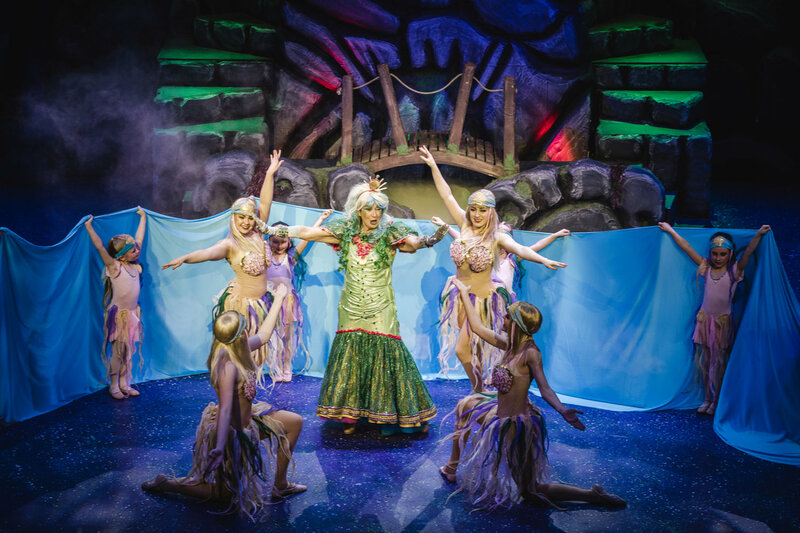 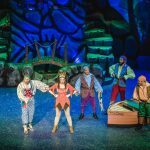 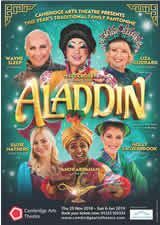 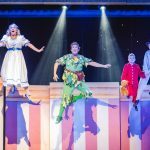 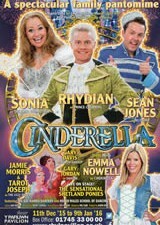 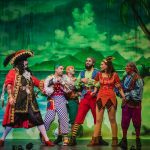 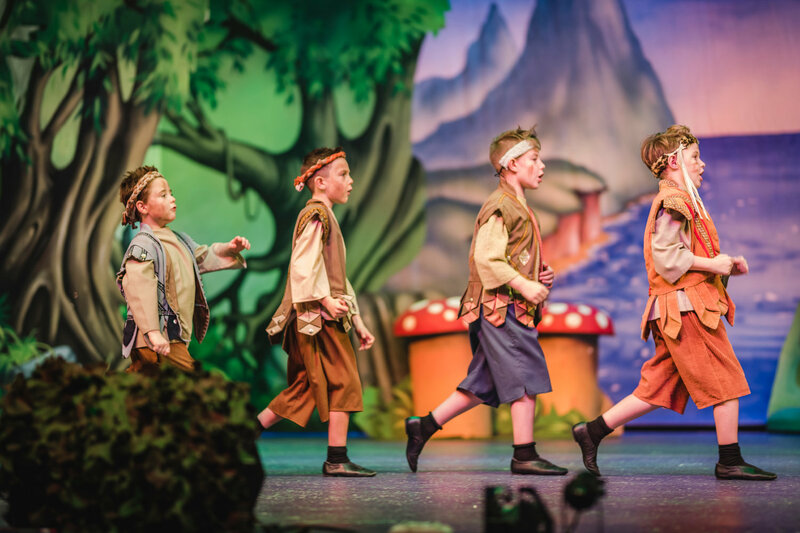 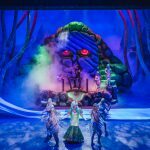 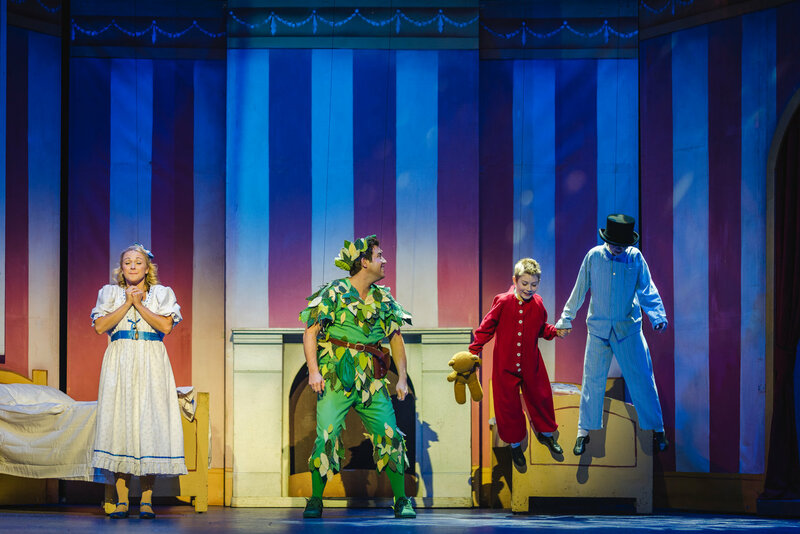 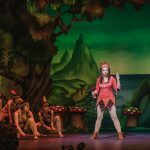 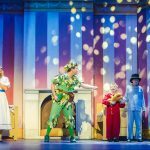 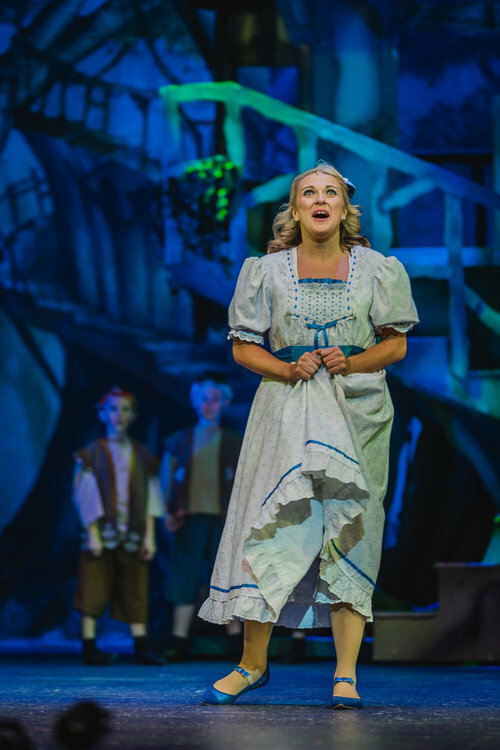 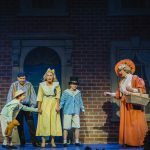 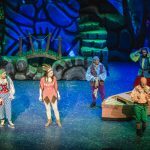 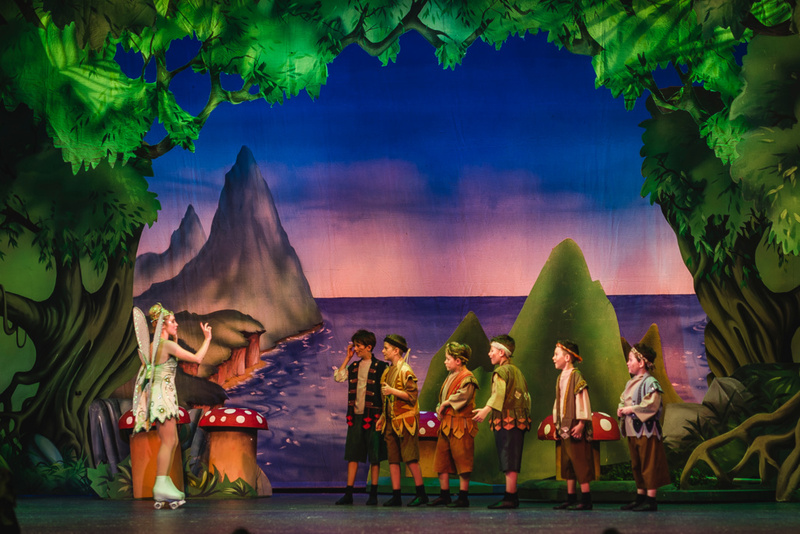 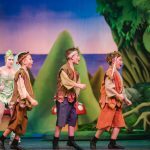 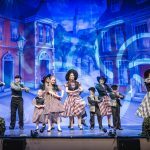 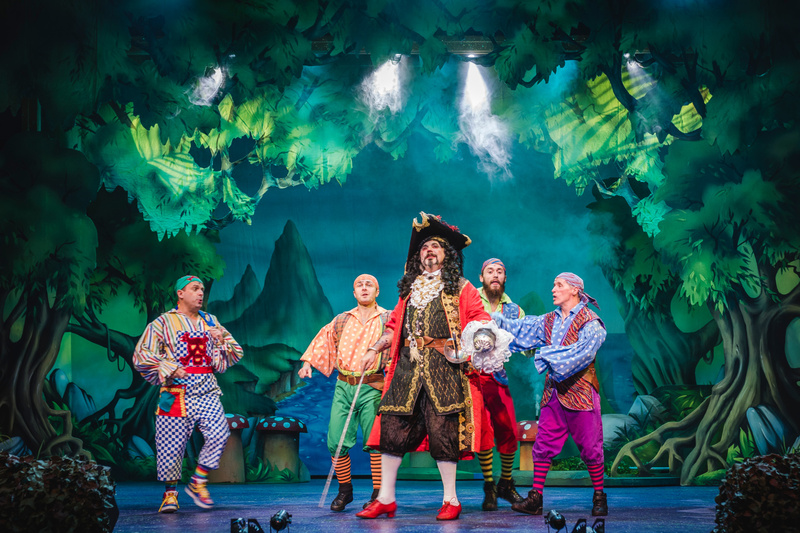 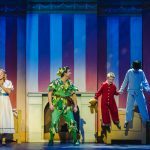 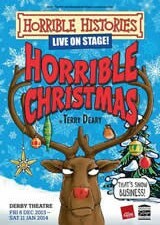 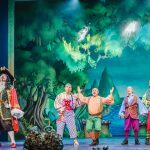 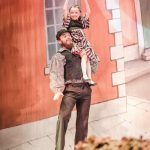 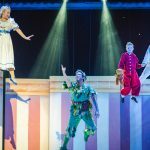 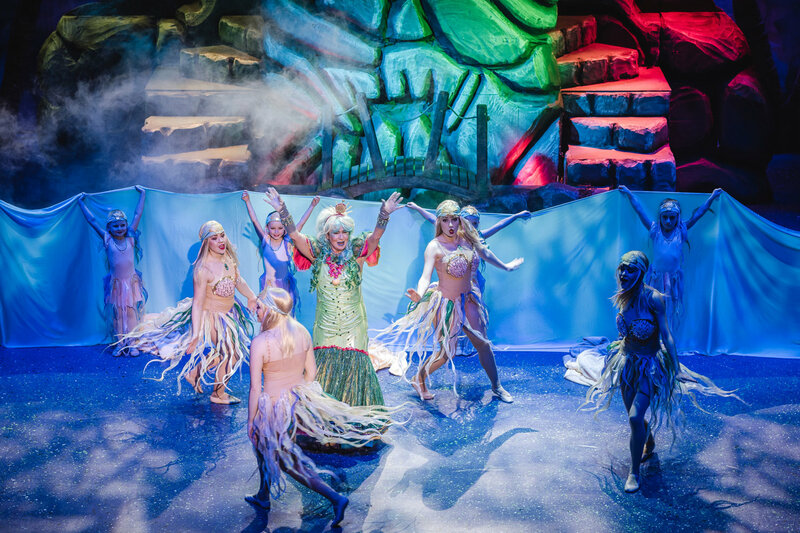 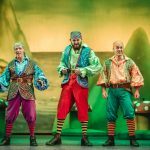 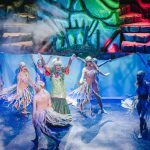 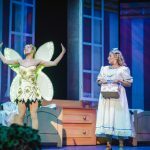 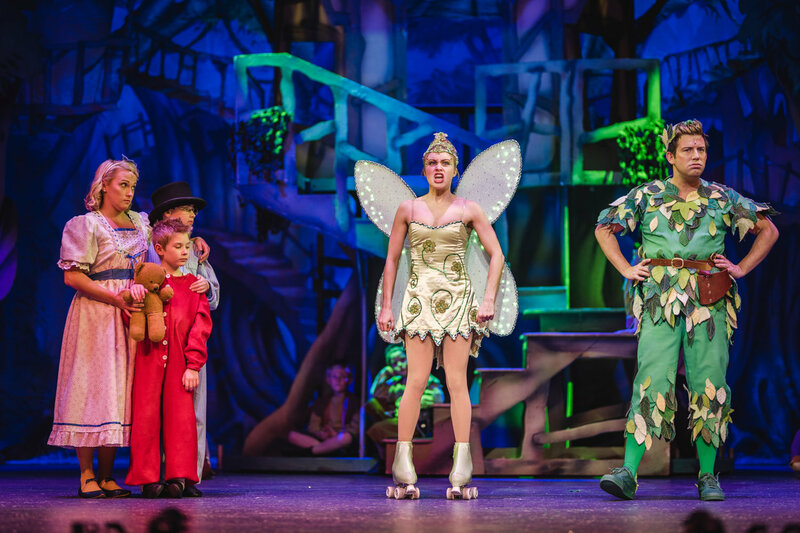 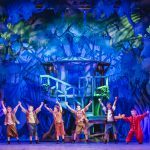 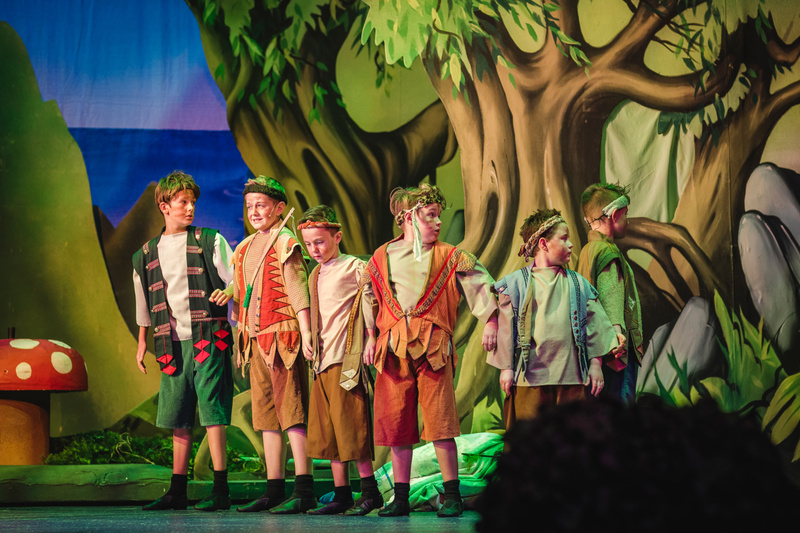 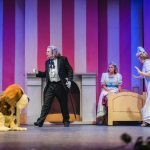 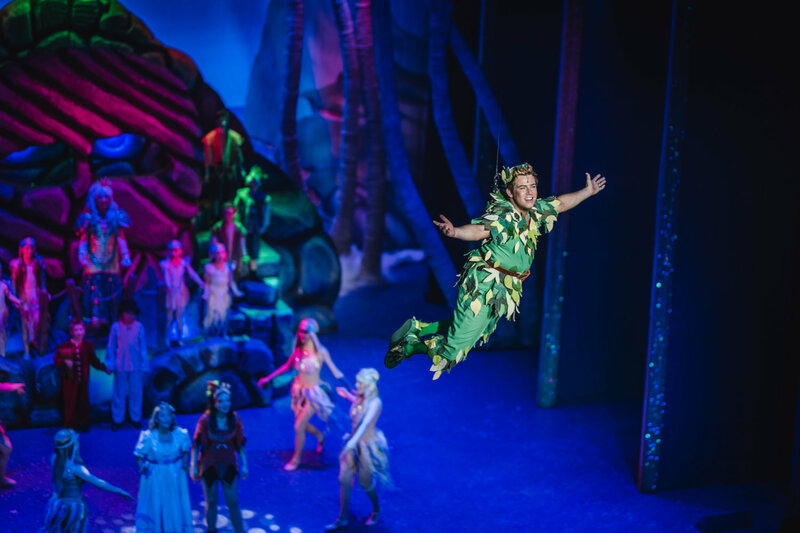 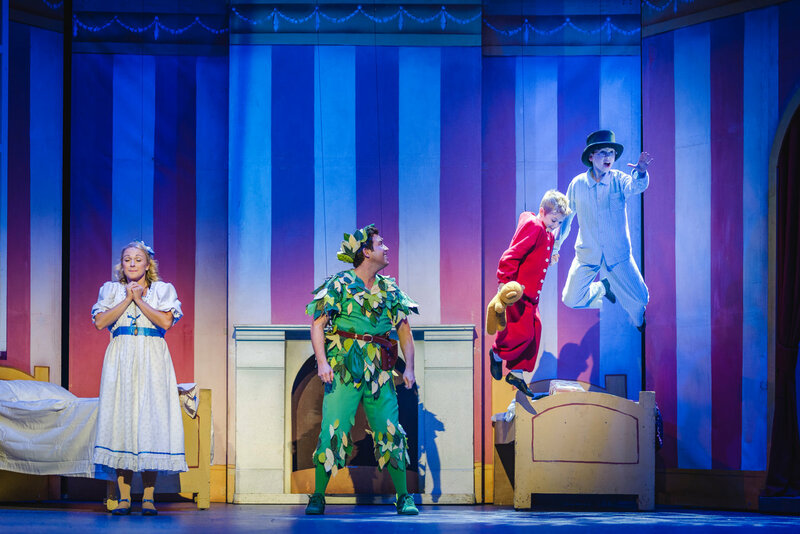 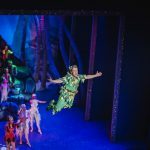 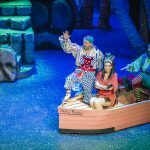 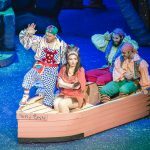 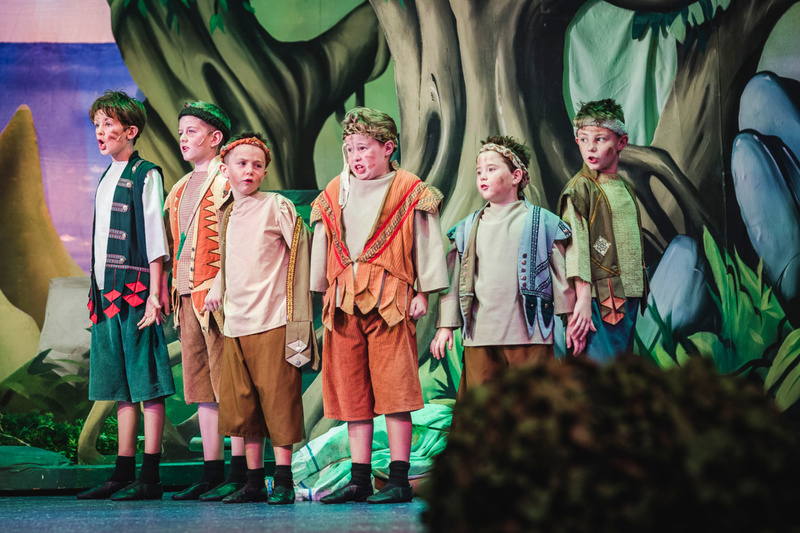 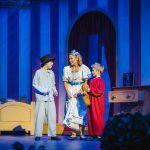 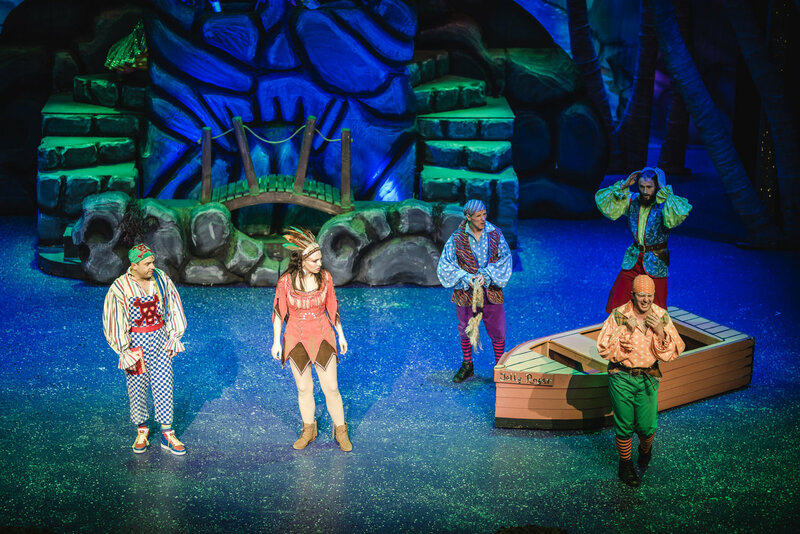 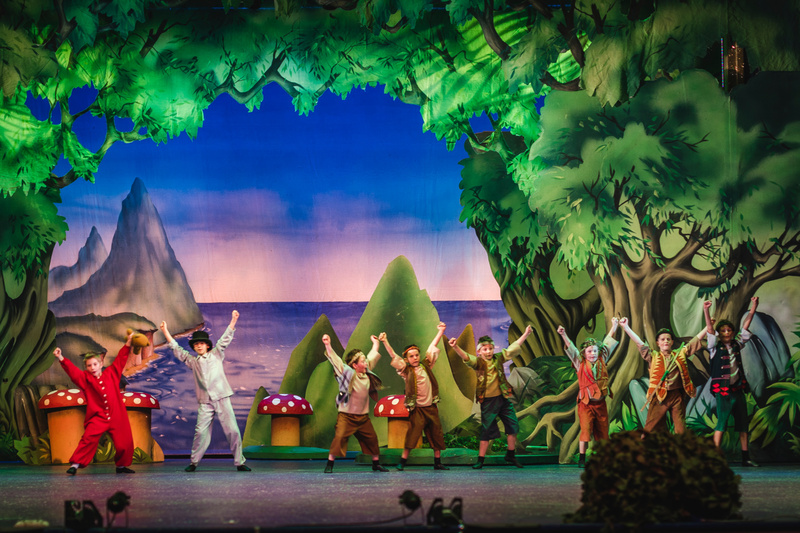 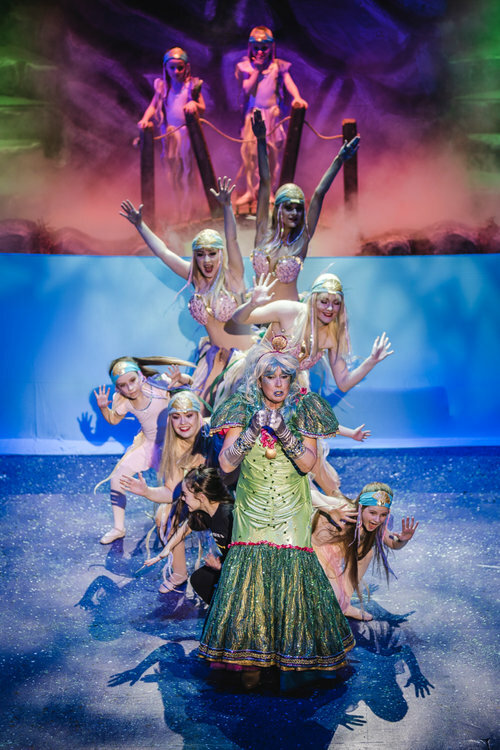 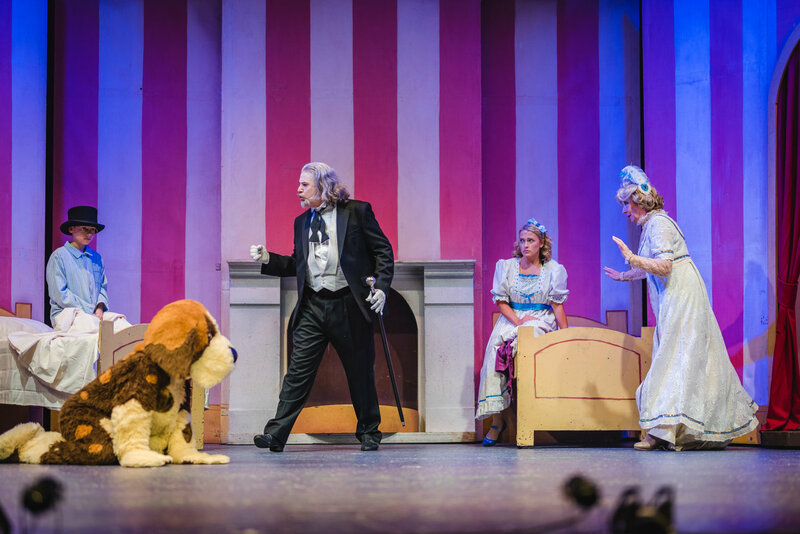 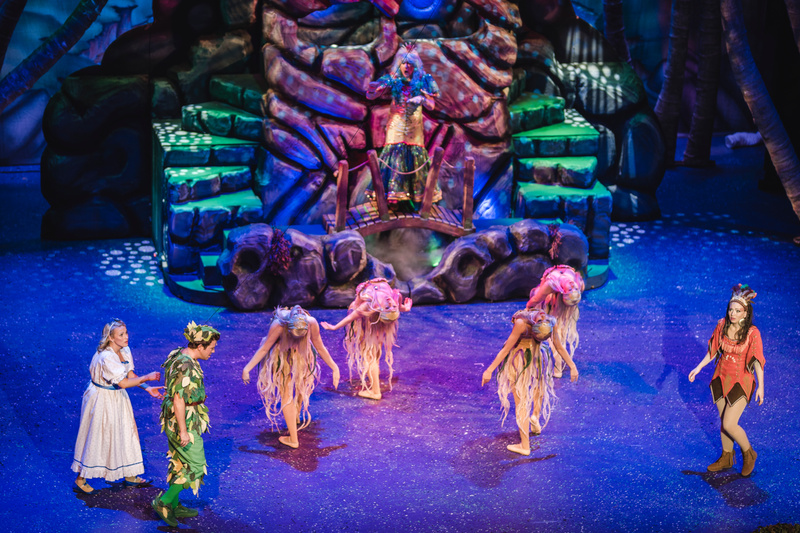 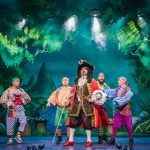 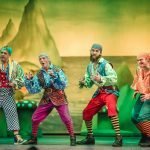 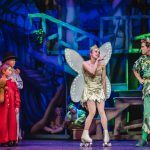 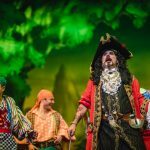 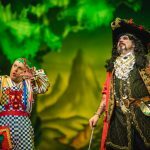 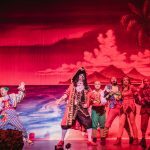 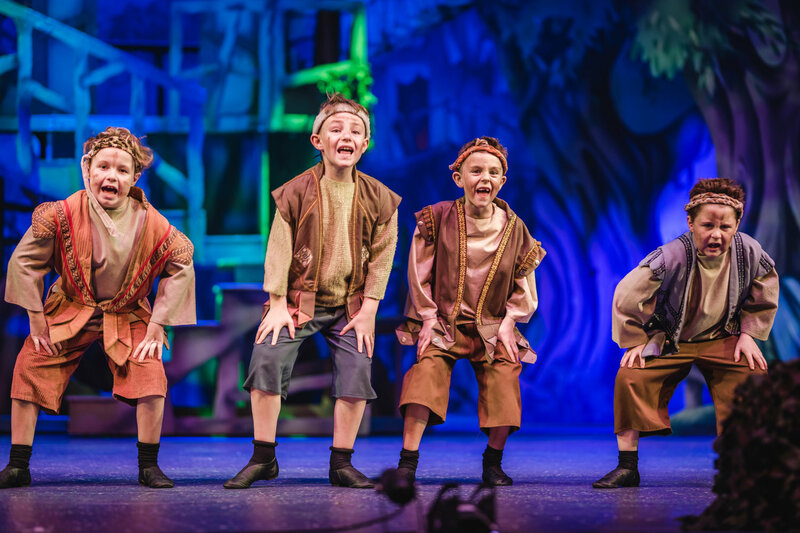 The seafront venue has an established reputation, along with producers UK Productions, for staging some of the best pantos around – with audiences travelling considerable distances for their festive theatrical fix. 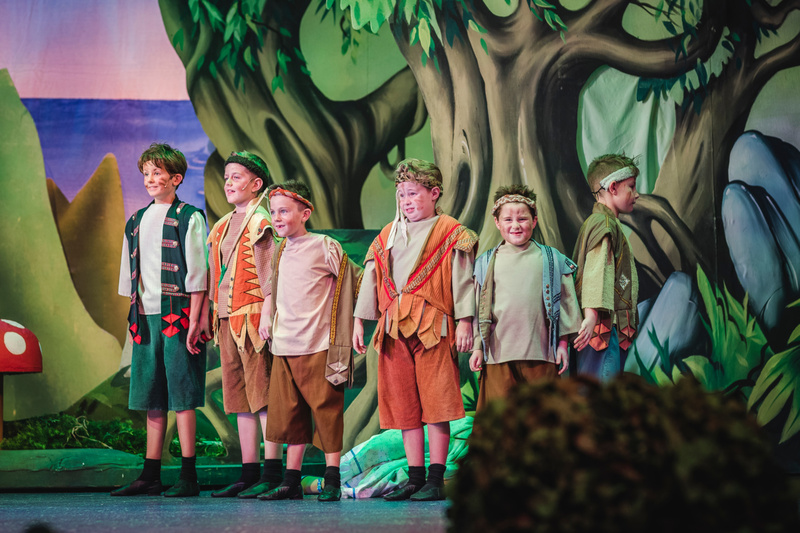 This year was no exception with a group from Dublin also watching the fun unfold. 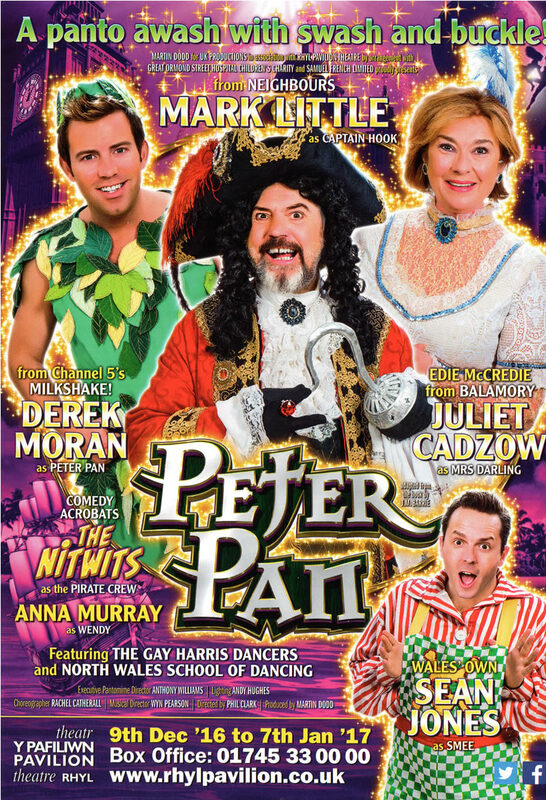 Peter Pan stars Channel 5/Milkshake children’s TV presenter Derek Moran as our ageless hero, who as well as leading the lost boys, comprised of members of PowerPlay, TiC Prestatyn Dance Studio and Stagecoach, and winning the devotion of Wendy Darling played by the endearing Anna Murray, brave John played by Thomas Dentith and cute Michael played by Jake Stridgen also achieves the tricky task of flying with real ease! 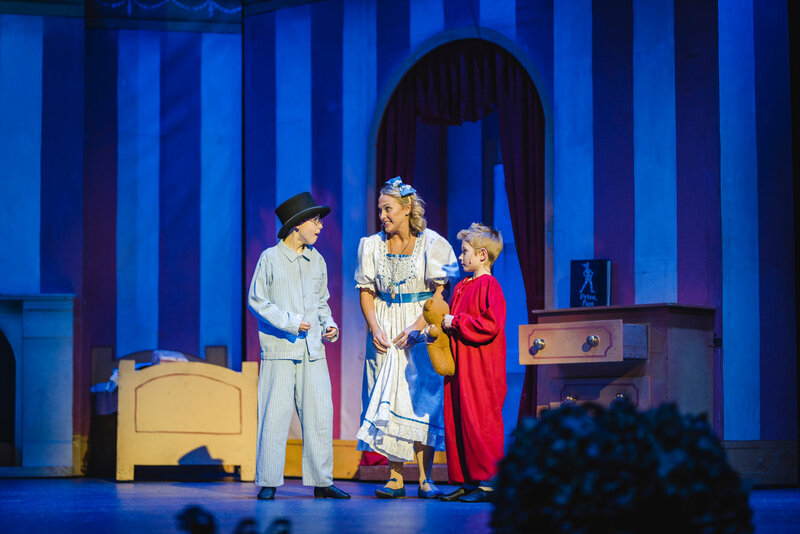 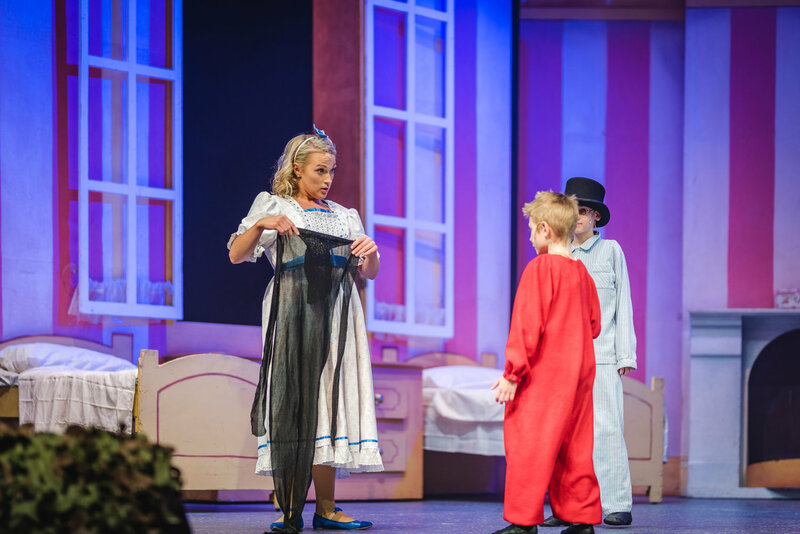 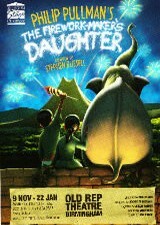 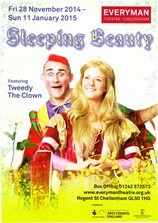 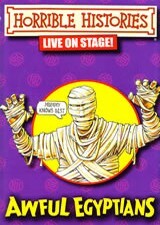 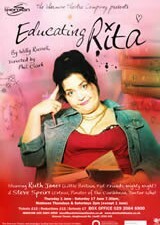 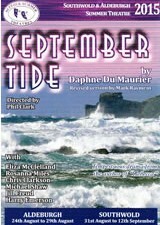 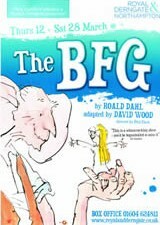 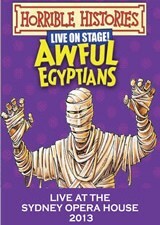 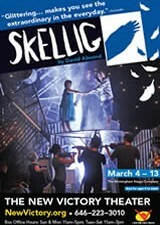 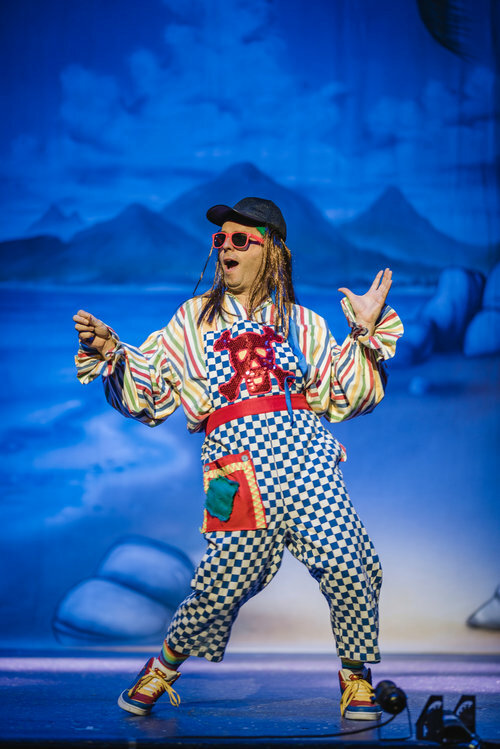 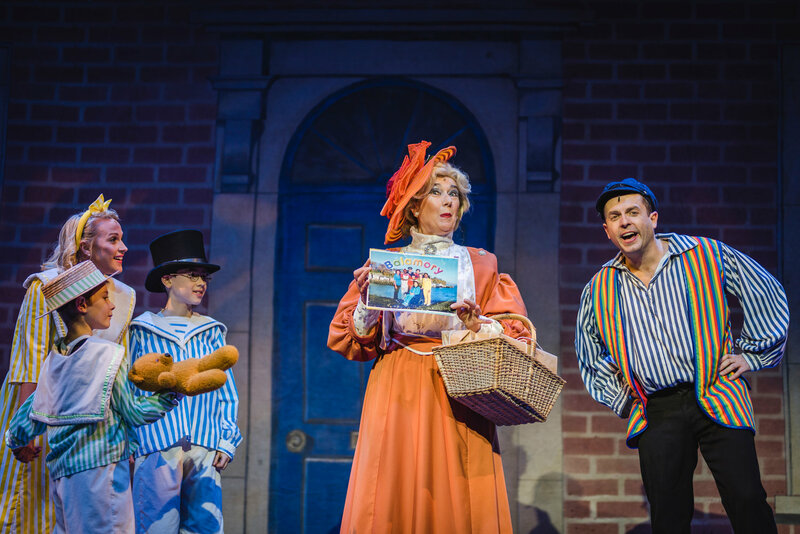 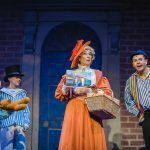 He is joined by Juliet Cadzow of Balamory fame with her elegant performance as Mrs Darling and the Mermaid and local star Sean Jones as Smee, whose brand of slapstick comedy is a big favourite with the audience especially when complimented by the acrobatic skills of Nitwits (Andy Rothwell, Chris Gage and Jack Robbins). 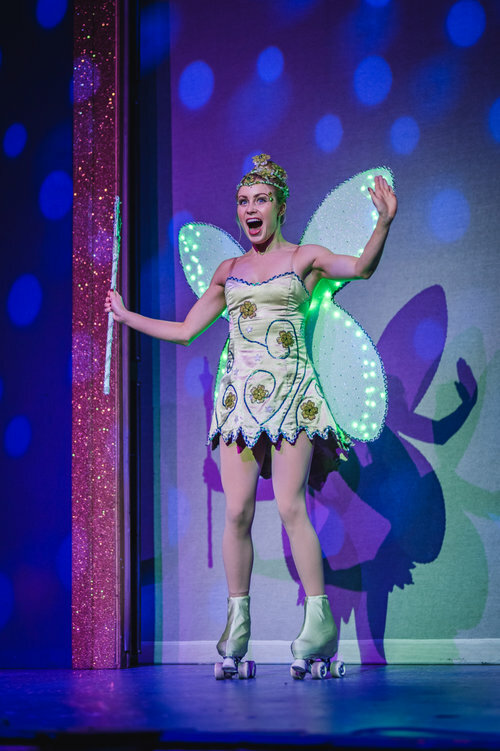 Sparkle is provided by Tinker Bell played by Elisha Covell while the feisty element is provided by Amy-Jane Ollies as TigerLily. 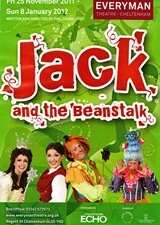 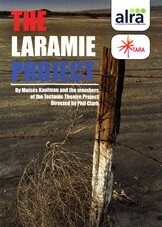 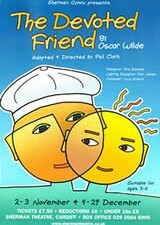 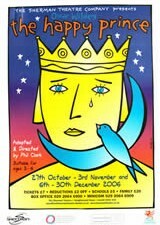 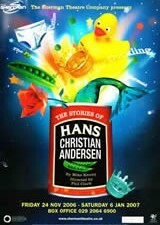 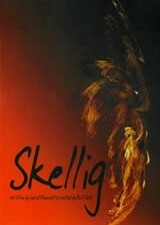 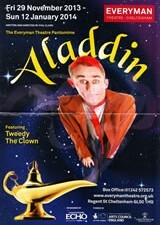 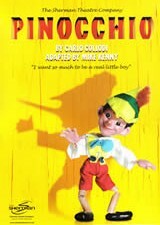 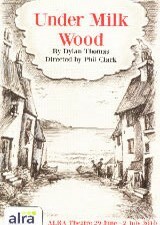 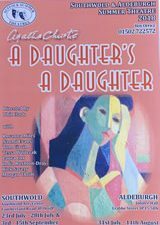 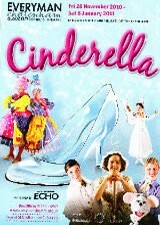 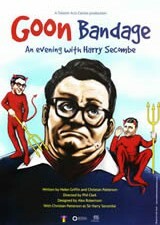 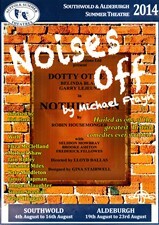 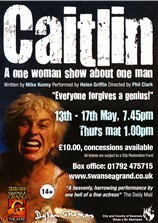 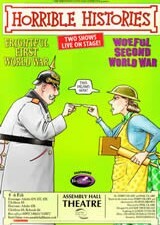 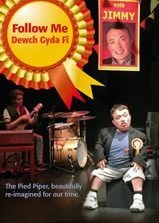 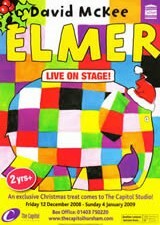 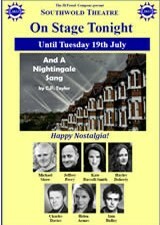 A special mention must also go to the excellent dancers from North Wales School of Dancing and The Gay Harris Dancers. 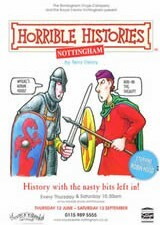 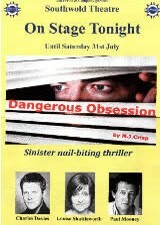 We are very lucky to have such relented groups in the area. 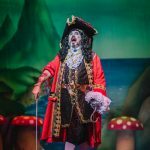 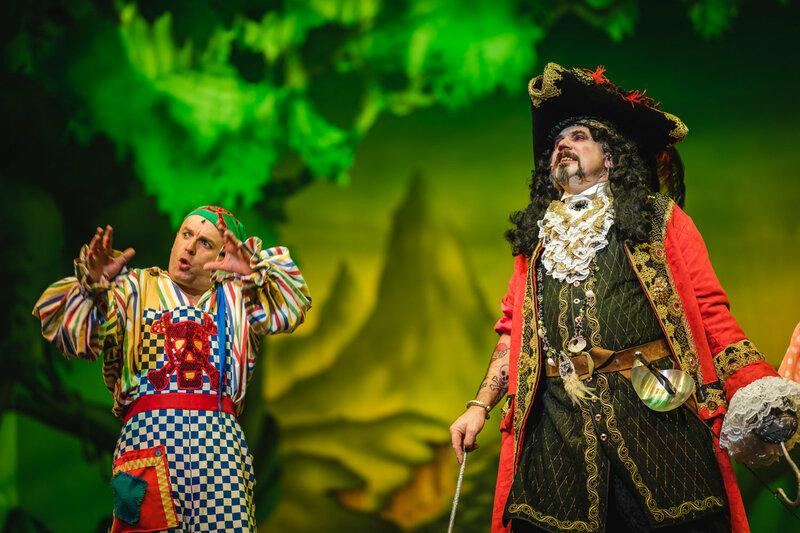 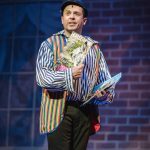 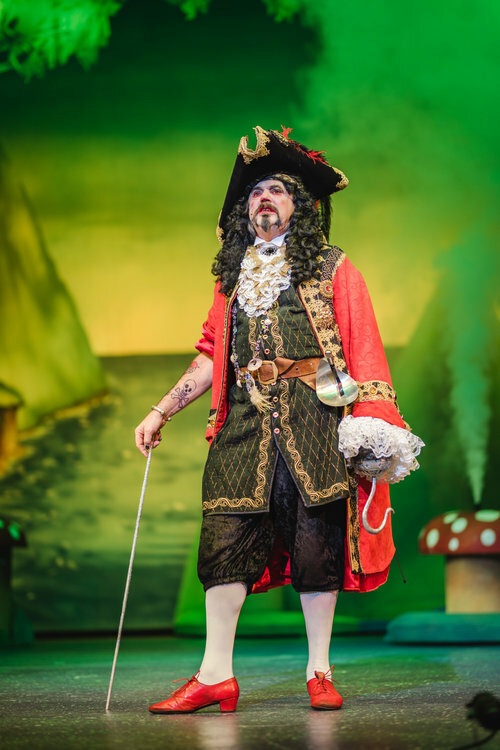 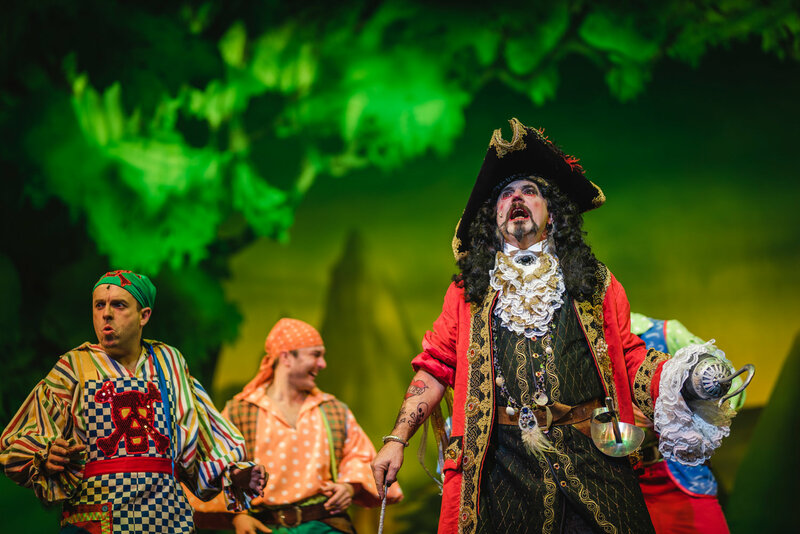 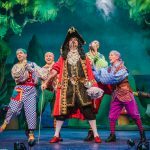 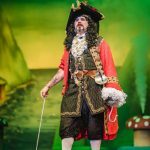 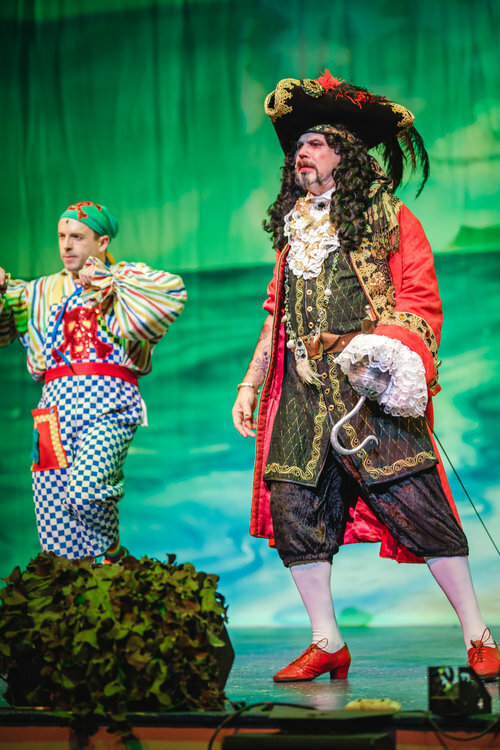 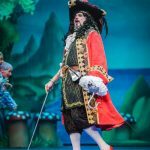 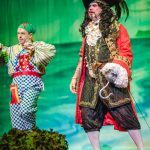 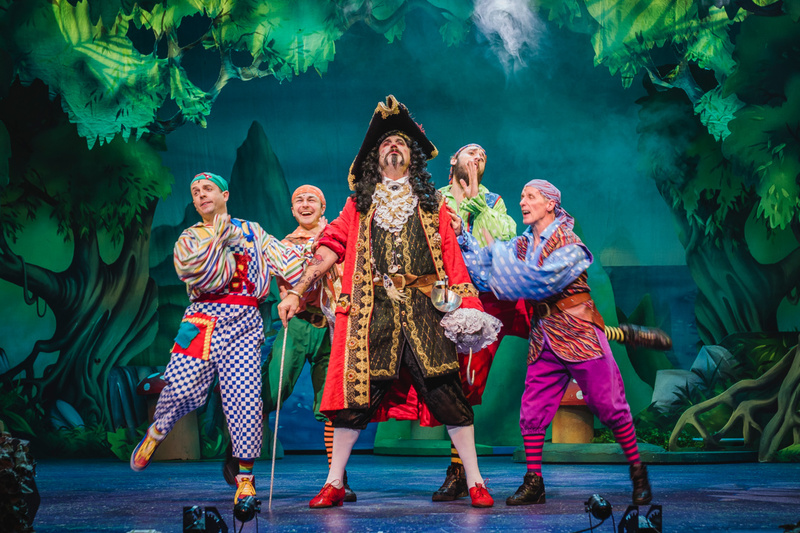 But the performance I was looking forward to the most since his unveiling earlier this year was that of Mark Little, as the dastardly Captain Hook. 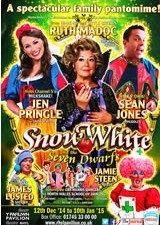 I was intrigued to see what he would deliver coming from the normal panto stable of veteran comedians and reality TV stars. 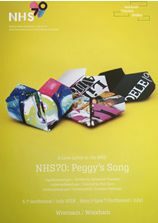 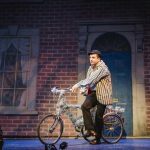 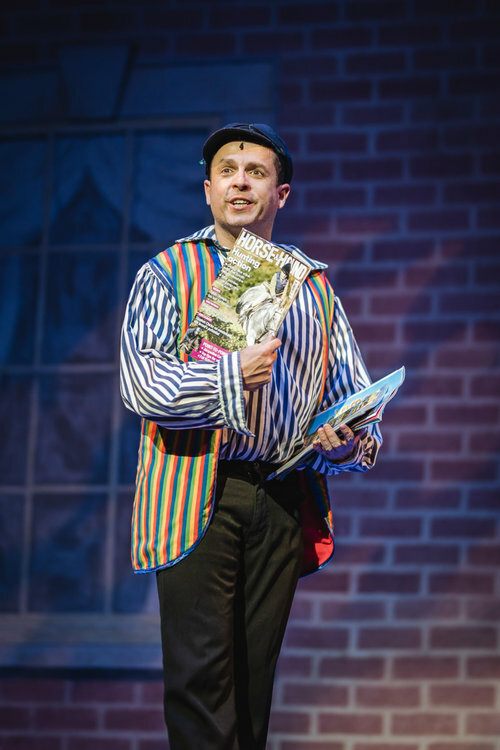 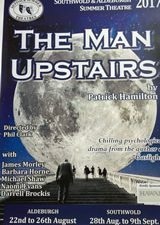 Little of course may be best known for his role as Joe Mangel in Neighbours in the 1980 and 1990’s – but after a subsequent career in presenting, theatre and comedy it was great to catch up with him I wasn’t disappointed. 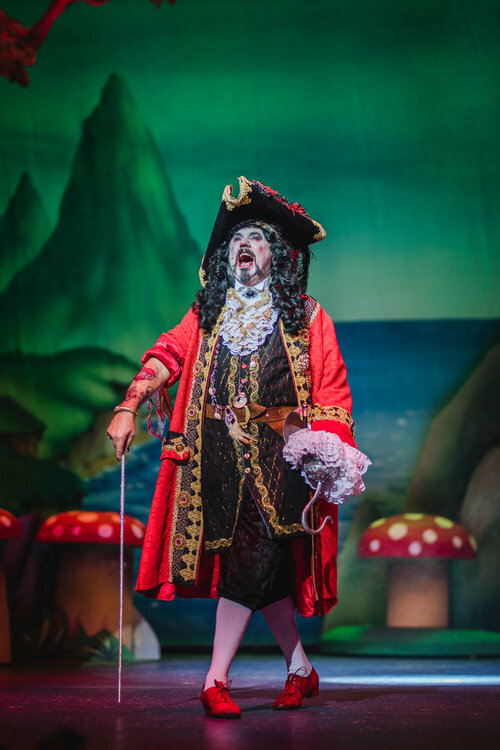 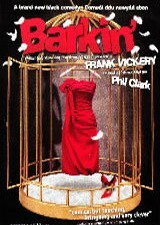 Playing both Mr Darling and Captain Hook Little showed the range of his ability from neurotic father to menacing villain who demanded attention and stole the show. 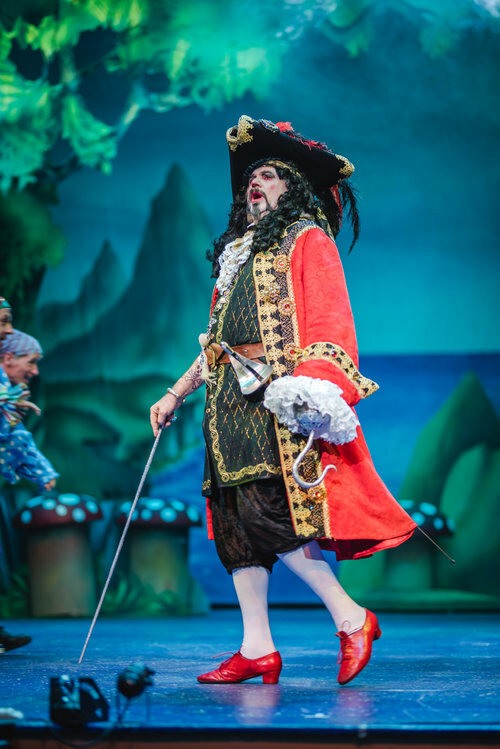 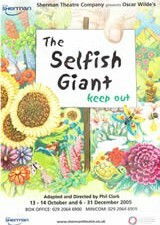 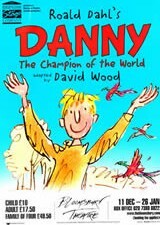 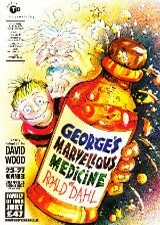 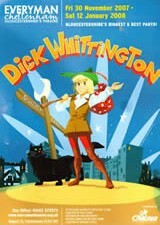 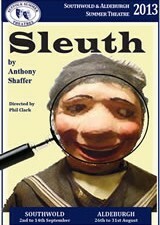 His Captain Hook was both flamboyant and sinister which the younger audience loved to hate. 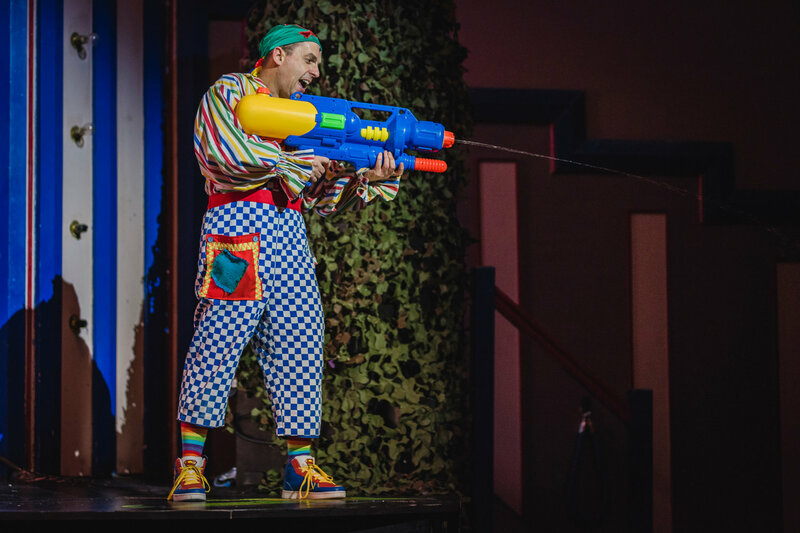 Despite his stellar performance he endured the usual jokes and put downs including inventory of weapons leading to a chorus of “Sabres…Everybody needs good sabres”. 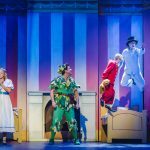 Peter Pan at Rhyl Pavilion Theatre has everything – swashbuckling fun from actors revelling in their roles, brilliant pace and musical score, stunning sets, compelling visual effects which transport you over London rooftops, and colourful costumes, plus a hero to cheer – what more could you want to get you in the festive mood.